At the Brink of Extinction  Why? HOW TO USE THIS WEBPAGE: This webpage has been online (and periodically updated) for more than a dozen years. However, in 2019 it seemed time to reconfigure the text for ease of use and to distinguish the background, objective summaries (with key links) from my own advocacy sections. Two events in 2018 indicated a reconfiguration was in order: In March 2018, genetic engineering of the Torreya genome was advocated by a University of Florida forest pathologist. And in August of 2018 the U.S. Fish & Wildlife Service announced that the 2010 recovery plan would be updated in 2019. Part 1 ("Overview and History") is a streamlined way to learn (and access key links) of the quest to find the cause(s) of Torreya's inability to thrive and reproduce in its small native range in Florida. It is intended to be a reliable, objective way to quickly learn the background and to access the source documents. Part 2 ("Ultimate Cause"), while serving as advocacy, points to key sources as a reminder that it is crucial to ascertain the ultimate cause of a proximate disease cause  and that the ongoing dispute about ultimacy is still an important factor for evaluating proposed recovery actions and plans. It is also crucial to actually read the academic papers, rather than accepting statements made in media reports or blogs as accurate representations of peer-reviewed science. 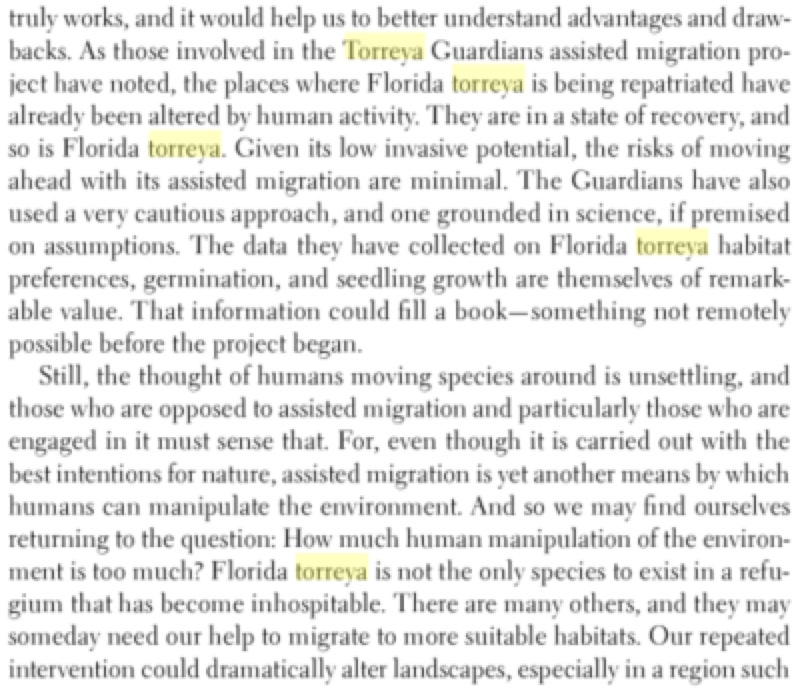 Part 3 ("Assisted Migration") provides the history of this line of advocacy for Florida Torreya (based on its undisputed status as a "glacial relict"), as well as the post-2008 surge of academic papers and news reports on assisted migration as a climate-adaptation response for even common forest trees. Hence, the 2019 recovery plan update takes place within the context of assisted migration having become a prominent conservation issue  and with Florida Torreya now widely regarded as the foundational case study. Part 4 ("Climate Adaptation Case Study") is included on this page as notice for decisionmakers, journalists, and activists that, since 2008, the actions of Torreya Guardians and the decisions and actions (including nonactions) made by the official agency and implementing institutions of this listed endangered species is a leading and widely watched example of whether and how traditional standards for ascertaining native range and native species will need to be adapted owing to ongoing rapid climate change. Staff members and advisors officially engaged in the scheduled 2019 recovery plan update for this species should be aware of this larger context. "One of us (H. K.) recalls very well having escorted in 1954, two parties of botanists to two localities along the Apalachicola River to view Florida torreya. No one present noticed anything abnormal about the trees. Since that time there has been a diminution in their number, and recently we decided to make a special trip to determine the present status of the torreya. 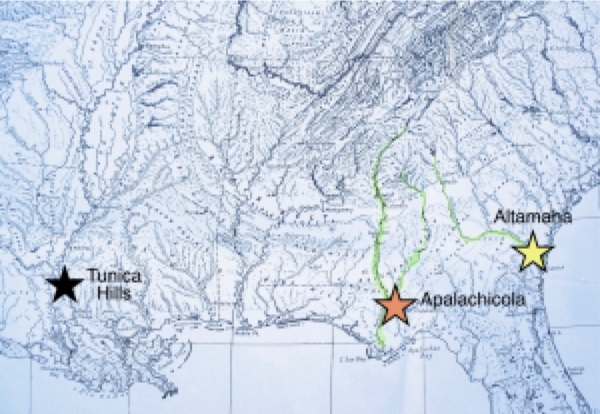 On 17 March 1962 we visited and thoroughly explored the Jackson County site and two places east of the Apalachicola River, at Aspalaga and at Rock Bluff. We learned that only a few abortive sprouts survive. The culprit? Apparently, a fungal disease of the stems. We know nothing more than that." 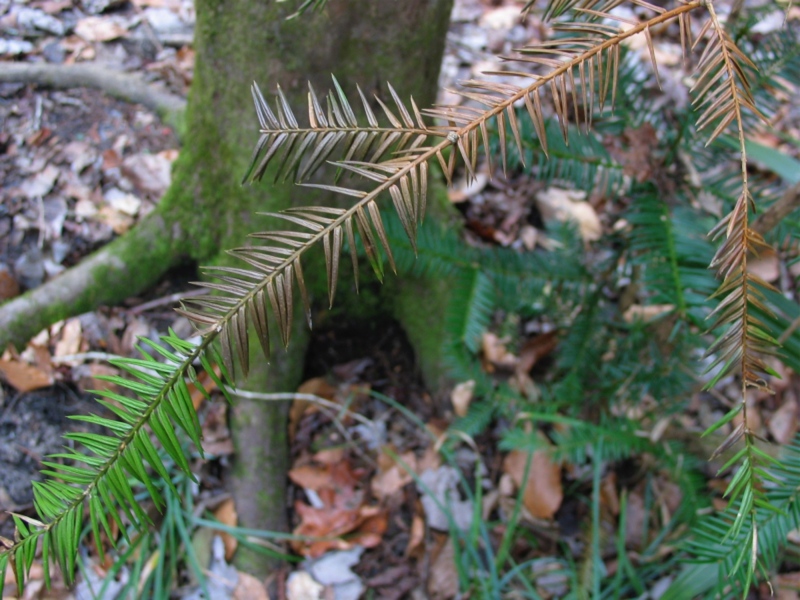 Recently, Fusarium lateritium was isolated from spots on needles of 30-year-old-Florida torreya trees.... There is a possibility that an introduced, non-native pathogen such as Phytophthora cinnamomi is involved (Barnard 1985). The occurrence of multiple fungi, some of them known to be soil inhabitants and opportunistic pathogens of several plant species, suggests that the fungal infections are merely symptoms of another underlying cause of decline (Kurz 1938, Mundkur 1949, Hartman and Kester 1968, Alfieri 1983, Barnard 1985). Barnes (1983b, 1984) noted that the major episodes of torreya dieback have occurred following periods of drought. Major diebacks of mature torreya trees occurred in the late 1930s and the late 1950s (Godfrey and Kurz 1962, Alfieri et al. 1967). In both cases, 4 to 7 years of below average rainfall preceded diebacks. Drought stress renders plants more vulnerable to fungus infections. But torreya has presumably survived droughts in its native habitat for millenia; this suggests that other factors may have contributed to the decline. Torreya appears to occupy sites where a steady supply of moisture is available from seepage, and where it is shady in the summer. Soil moisture at these sites may have been affected by alteration of the pine forests on uplands above the ravines (Clewell 1977, Kurz 1938b), which altered the drainage and retention of surface and ground water, in turn probably altering seepage into the ravines. Logging has altered the forests in the ravines (Reinsmith 1934). Concern has also been expressed over changes in the microclimates of the ravines that may have been caused by construction of the Jim Woodruff Dam, completed in 1956. This impoundment altered the Apalachicola River flooding cycle and raised downstream water temperatures, which possibly raised air temperatures near the river (Toops 1981) resulting in a change of microclimate. No inquiry has been made into the possible effects of air or water pollution. It is possible that relatively minor human alterations of the habitat may seriously affect torreya; it is possible that the present-day physical environment of the Apalachicola bluffs and ravines is only marginally suitable to Florida torreya. The species may be restricted to the area because it failed to migrate northward at the end of the Pleistocene. Identify pathogen(s) responsible for the decline: This is an ongoing action that goes back to 1967 (Alfieri et al. 1967). The authors observed that the stem and needle blight disease of T. taxifolia appears to be incited by a fungus causal agent implicating Physalospora and Macrophoma. Alfieri et al. 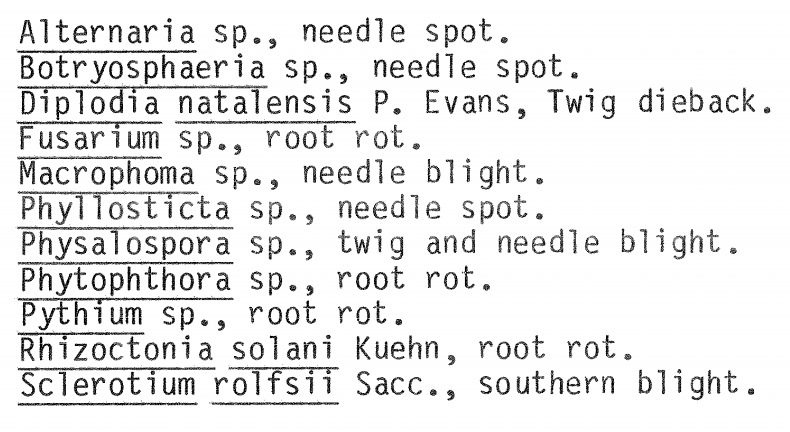 (1987) isolated six other fungi from leaves and stems of T. taxifolia. Lee et al. (1995) isolated more than 30 different endophytic fungi, but consistently, Pestalotiopsis microspora (a fungus that resides in the inner bark of symptomless T. taxifolia trees) was found on diseased trees. They concluded that the pathological activity of this fungus could be triggered by physiological and/or environmental stress. Herman and Schwartz (1997) studied the pathogenicity of Scytalidum sp. 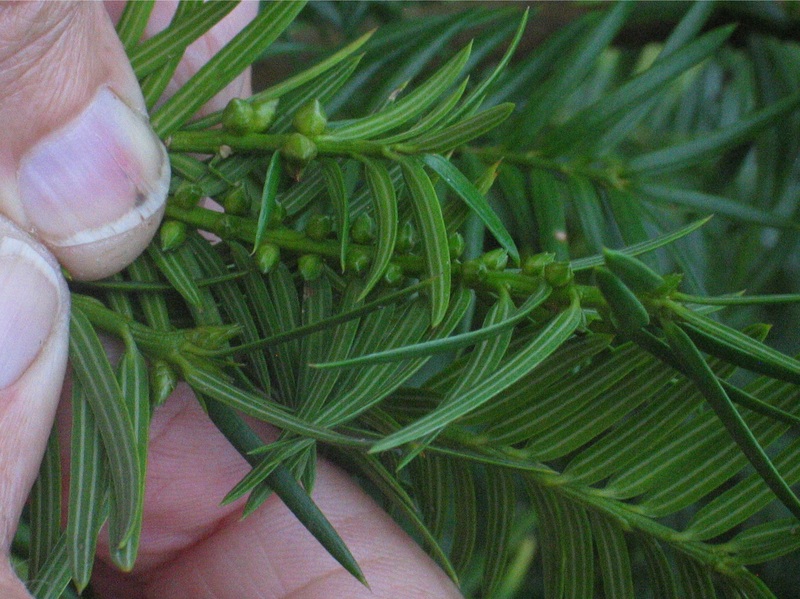 They inoculated both needles and stems causing needle spots and necrosis, but couldn't provide evidence that it was the cause of the original decline of T. taxifolia. Soil-borne pathogens, such as Phytophthora sp., Pythium sp., Rhizoctonia solani and Sclerotium rolfsii have been reported on T. taxifolia. At present, Dr. Lydia Rivera (Univ. of Puerto Rico, 2009) is conducting a soil-borne pathogen survey, emphasizing the detection of Phytophthora spp. She isolated 102 fungi from TSP, FL, and Corps property, GA. Of the trees surveyed, 48 % had root necrosis and stem cankers. She is designing a pathogenicity test associated with potential disease outbreaks. Dr. Jason Smith (Univ. of Florida) is conducting an above-ground plant pathogen study. He isolated numerous fungi from cankers and consistently found an undescribed Fusarium sp. ; he is working with a specialist in Japan to describe the new Fusarium species. According to Smith (2010, pers. comm. ), "inoculation experiments with seedlings and larger potted torreyas have provided ample evidence that Fusarium is the causal agent" for the current population decline; the cause of the initial decline remains unknown. When plants are inoculated with Fusarium, it leads to canker development, lesions, and mortality (Smith 2010, pers. comm.). He proposes to elucidate the disease biology, as well as conductive epidemiological factors and treatment. Aaron Trulock is a graduate student under Smith and will be doing his research on the biology of canker disease of the T. taxifolia. • "Root and Soil-borne Oomycetes (Heterokontophyta) and Fungi Associated with the Endangered Conifer, Torreya taxifolia in Georgia and Florida", by Lydia I. Rivera Vargas and Vivian Negron-Ortiz, 2013, chapter in book (25 pp; highly detailed academic writing). 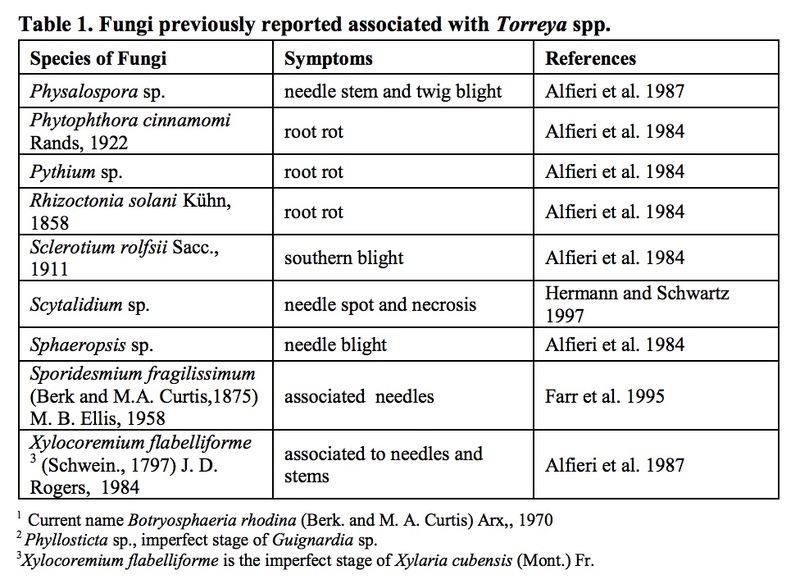 EXCERPTS and TABLES: ... Several Fusarium species have been shown pathogenic to T. taxifolia, by causing needle spots, i.e. F. lateritium Nees (El-Gholl 1985, Alfieri et al. 1987), and has been associated with root rot (Alfieri et al. 1984). More recently, a novel described species F. torreyae Aoki, Smith, Mount, Geiser, and O’Donnell, was demonstrated to be the causal agent of stem cankers (Smith et al. 2011). Until now, no Fusarium spp. has been demonstrated to cause cankers comparable to those observed in the field. In other conifer species, F. oxysporum Schltdl. Emend. Snyder and Hansen has been associated with seedling death and root rot (Viljoen et al. 1992). 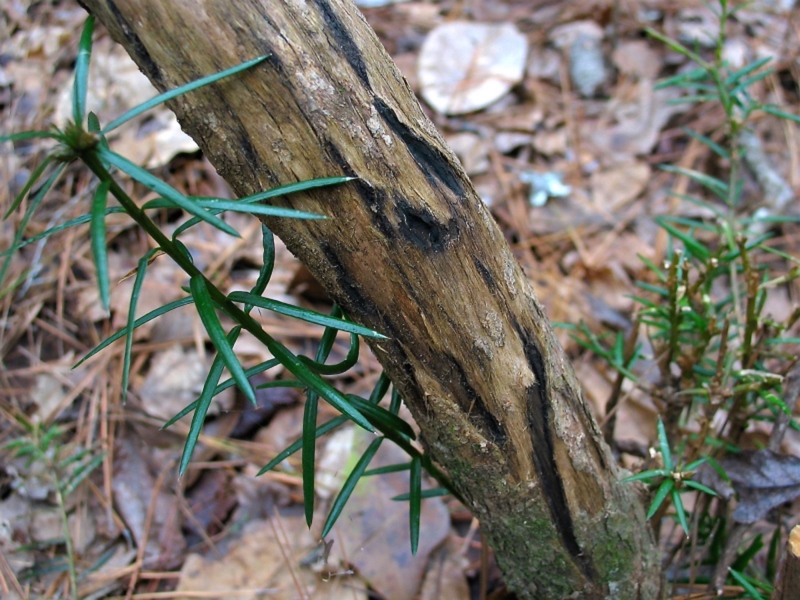 SEE PHOTOS OF LEAF AND STEM PATHOLOGIES ON TORREYA: disease photos. In 2010, Prof. Jason Smith, a forest pathologist at the University of Florida, Gainesville, undertook pathology research culminating in a series of papers that (a) identified an oomycete (water mold) that caused stem cankers as being the cause of current lethal pathology, and (b) concluded that the Fusarium was sufficiently different from the previously identified pathogen afflicting torreya (Fusarium lateritium) to merit naming as a new species: Fusarium torreyae. • "A Novel Fusarium Species Causes a Canker Disease of the Critically Endangered Conifer, Torreya taxifolia", by Jason A. Smith et al., Plant Disease, June 2011, 7 pp. with photos. • "Fusarium torreyae sp. 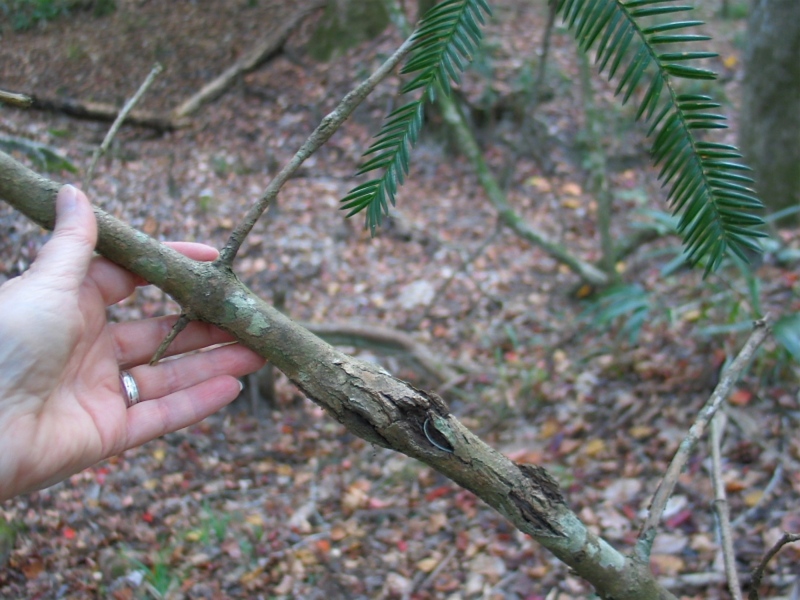 nov., a pathogen causing canker disease of Florida torreya (Torreya taxifolia), a critically endangered conifer restricted to northern Florida and southwestern Georgia", by Takayuki Aoki, Jason A. Smith, Lacey L. Mount, David M Geiser, Kerry O'Donnell, 2013, Mycologia. • "Two novel Fusarium species that cause canker disease of prickly ash (Zanthoxylum bungeanum) in northern China form a novel clade with Fusarium torreyae", by Zhou Xue, Kerry O'Donnell, Akayuki Aoki, Jason A. Smith, Matthe T. Kasson, Zhi-Min Cao, 2016, Mycologia. • "The Decline of Florida Torreya: An Endemic Conifer on the Edge of Extinction", by Jason A. Smith and Aaron Trulock, 2010, University of Florida School of Forest Resources and Conservation, research paper. NOTE: BARLOW has linked and excerpted the above five Fusarium torreyae papers here: Recent Papers on Torreya Stem Canker Pathology. EXCERPT: ... Finally, scientists will begin screening trees to look for those resistant to the fungus that’s so devastated the species. Scientists will then determine which genes in these resistant trees make them more resilient. If they can identify this genetic component, the gene editing technology CRISPR can be used to produce trees that have these traits, Smith said. "When funded, this holistic strategy, involving many scientists and institutions, could give us a fighting chance at saving the torreya. This isn't typically how conservation is done, so we're excited to be trying this novel approach," Smith said. "With the rate at which genetic technologies are advancing, as well as the programs we already have in place, the goal is to have a method we can implement in the next three to five years." • "Saving the Torreya: Workshop Brings Scientists and Conservation Leaders Together", by Sarah Farmer, in USDA Southern Research Station, CompassLive, 8 May 2018. • "Travels of a 'Real Naturalist'", by Rob Nicholson, Botanical Collections Manager, Spring 2018 in Friends of Wellesley College Botanic Gardens, 1 page pdf where Nicholson reports on his speaking at the Torreya Symposium in March, including his role in collecting and rooting branchlets of wild specimens, beginning in the 1980s. 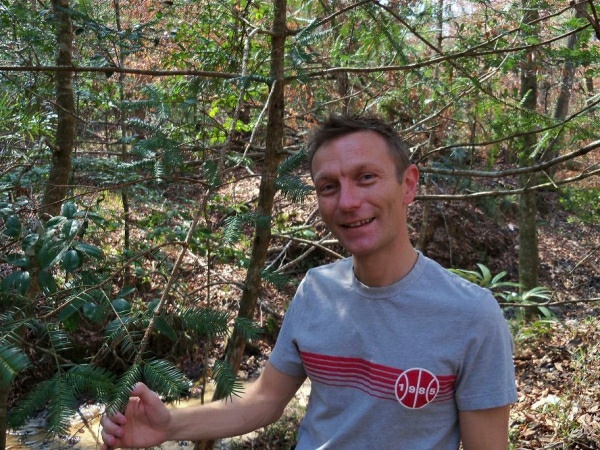 • "Saving the Endangered Torreya taxifolia", by Adam Black, article in March 2018 newsletter of Peckerwood Garden Conservation Foundation, multi-page illustrated report of his experience at the Torreya Symposium. 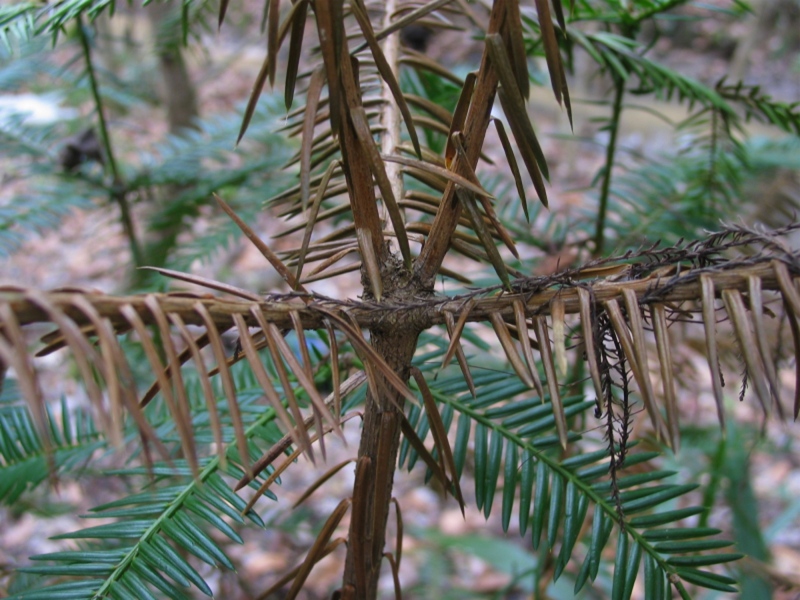 • "'Ice Age' Tree in Peril: Florida Torreya", by Sheila Dunning, 14 April 2019, University of Florida Extension Service. EXCERPTS: ... The Florida Torreya (Torreya taxifolia) is one of the oldest known tree species on earth; 160 million years old. It was originally an Appalachian Mountains ranged tree. As a result of our last "Ice Age" melt, retreating icebergs pushed ground from the Northern Hemisphere, bringing the Florida Torreya and many other northern plant species with them. The Florida Torreya was "left behind" in its current native pocket refuge, a short 40 mile stretch along the banks of the Apalachicola River. There were estimates of 600,000 to 1,000,000 of these trees in the 1800’s. Torreya State Park, named for this special tree, is currently home to about 600 of them. Barely thriving, this tree prefers a shady habitat with dark, moist, sandy loam of limestone origin which the park has to offer. • "The Race to Save the Most Endangered Conifer in America", by Brian Kahn, 9 April 2019, Earther. EXCERPTS: .... This ex situ collection of trees [at Atlanta Botanical Garden] form a cornerstone of the recovery plan. Scientists here and with the University of Florida are monitoring them to see which have proven resistant to the fungus and have also been using the clippings to help sequence their genomes. [Emily] Coffey [of Atlanta Botanical Garden] said the analysis will help "see how distinct each individual tree is." If scientists can find out what makes the trees that can handle the fungus tick, they could crossbreed them. There has even been talk of using CRISPR, a revolutionary new genetic engineering tool, that could open up a fast track to editing torreya genes. Coffey said anything involving CRISPR is likely 10-15 years down the road, though. In the near term, her group and their partners are also doing experiments with fungicides. And in February, they installed sensors near some trees in North Florida that can assess temperature, humidity, and sun exposure. That data can then be cross-referenced with how the trees deal with fusarium fungus in the hopes tracking what conditions make the outbreak better or worse. ♦ Notice by Connie Barlow: Links and logic shift to advocacy at this point. All of the links and annotations in Part 1 should be noncontroversial, as the above series presents a straightforward history (with key citations linked) on scientific observations, research, and contentions on the issue of WHY Florida torreya is rapidly failing in its native range. Because reportage on the 2018 Torreya Symposium implies that University of Florida torreya involvement is on a fast-track for engineering disease-resistance into the Torreya genome, it is important to take a look at the foundational cause(s) of the context that opened the way for pathogens to become rapidly and severely lethal in the 1950s (and continuing today). For a quick review of the concept of nested levels of causation and their importance, visit this wikipedia page: "Proximate and ultimate causation". (1) Something may have shifted in the environmental conditions of Florida Torreya's tiny native range that assisted one or more pathogens and/or stressed the tree's defenses. (2) Perhaps a singular Fusarium species that was identified and established as lethal in 2011 is an exotic species that entered the Apalachicola region (perhaps from another continent) prior to the onset of Torreya population collapse. Point (2) will be explored in depth before point (1). 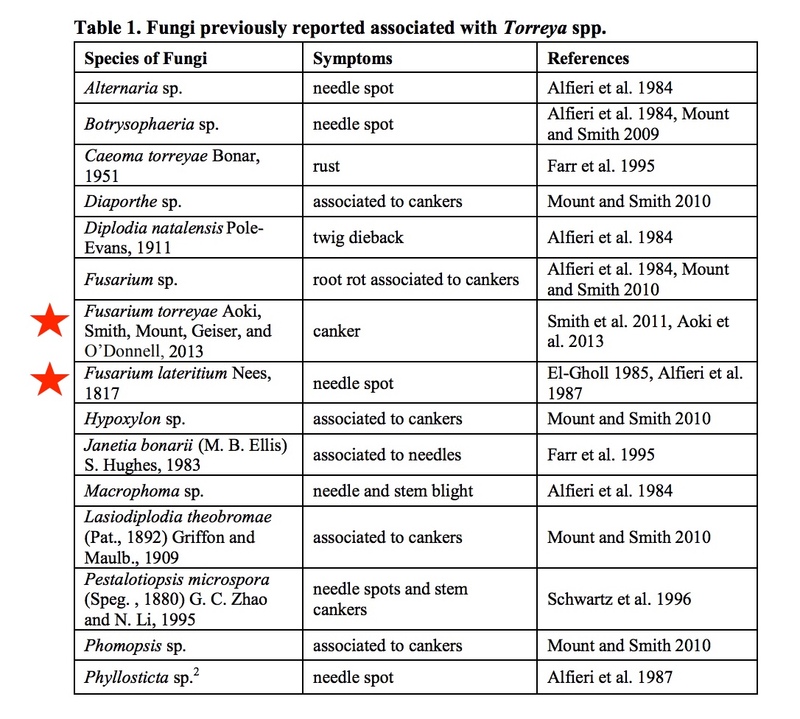 NOTE: BARLOW has linked and excerpted all Fusarium torreyae papers here: Recent Papers on Torreya Stem Canker Pathology. 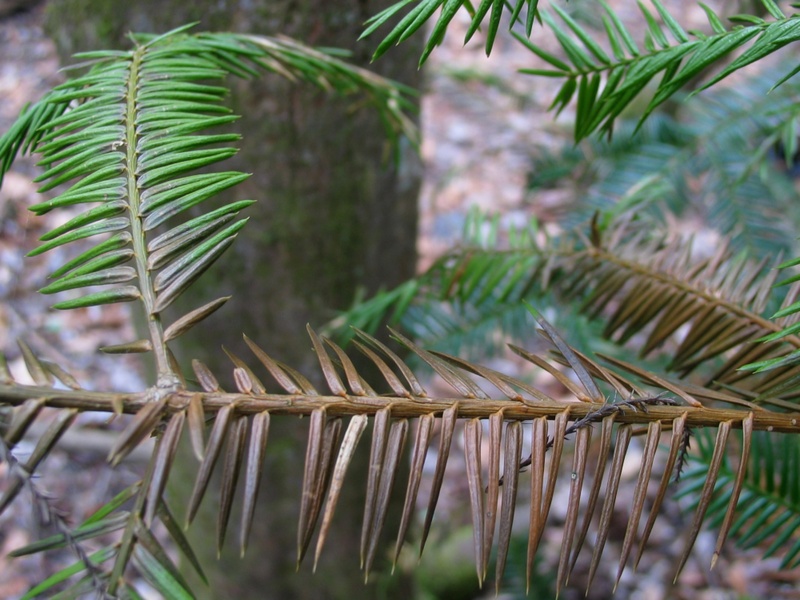 Until the 2010s, a tremendous amount of thought (and some hypothesis testing) went into fleshing out possible environmental shifts that either elevated the virulence of native pathogens or degraded Torreya's disease defenses. The sense was that, if a shift in environmental conditions could be identified that correlated with the timing of population collapse, then remedial actions could be taken onsite to restore a healthy environment. Two lengthy technical reports may be the most complete online sources for learning the history of environmental hypotheses. 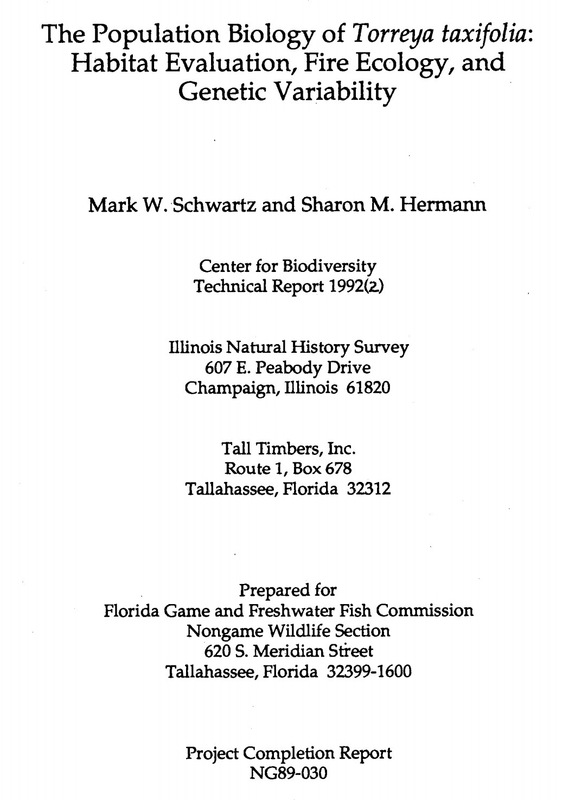 • "The Population Biology of Torreya taxifolia: Habitat Evaluation, Fire Ecology, and Genetic Variability", by Mark W. Schwartz and Sharon M. Hermann, 1992, Technical Report 1992(2) prepared for Florida Game and Freshwater Fish Commission, 108 pp. The table below lists 9 causal hypotheses, 7 of which are environmental. 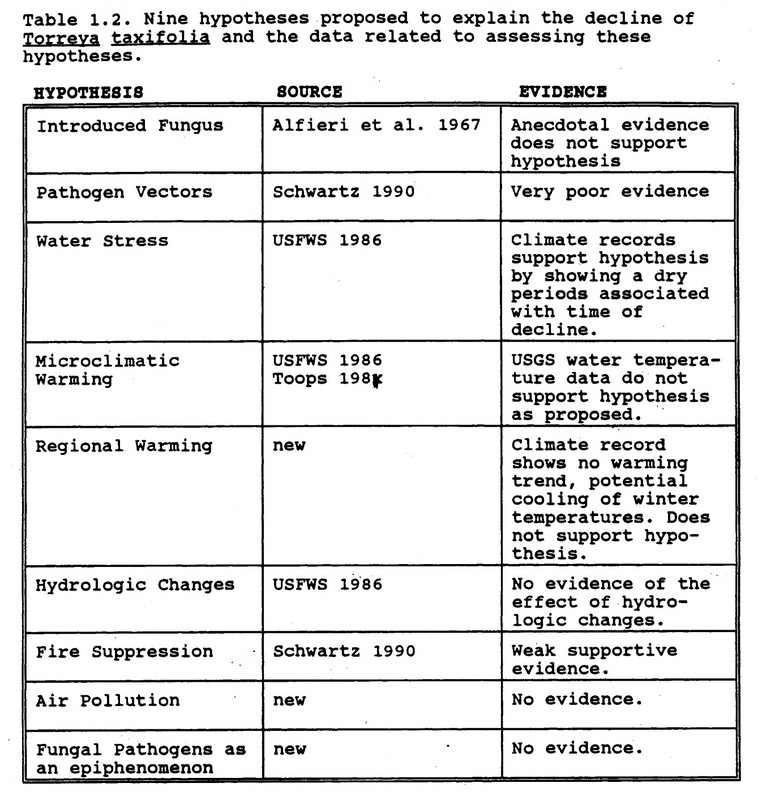 Note in particular the 9th hypothesis in the table, "Fungal Pathogens as an epiphenomenon." Clearly, that a proximate disease might have become lethal owing to environmental degradation was an early consideration. See also: "Population Persistence in Florida Torreya: Comparing Modeled Projections of a Declining Coniferous Tree", by Mark W. Schwartz, Sharon M. Hermann, and Phillip J. Van Mantgem, Conservation Biology, 4 August 2000. EXCERPTS (emphases added): ABSTRACT. ... A master chronology extending back to 1869 was established using 125 pine cores. Twenty of the T. taxifolia cross sections were successfully dated, extending the chronology back to 1814. I found a significant positive relationship between growth and spring precipitation and an inverse relationship between growth and summer drought severity and summer temperature. The climate-growth response of T. taxifolia mirrored that of the pines, but was not as intense, possibly because of the protected understory habitat. The correlation between tree growth and precipitation suggests that moisture is the strongest determining factor of growth in this area. The inverse relationship with temperature illustrates the effect of higher temperatures on available moisture. A drought and warm period occurred simultaneously during the mid-1950s in combination with heightened clear-cutting practices and the construction of Woodruff Dam. It is my conclusion that habitat destruction occurring as early as the turn of the 20th century began weakening the Torreya. The unfavorable climate conditions and rapid degradation of the habitat that occurred during the mid-1950s further weakened the Torreya and allowed them to succumb to terminal infection by the blight. Page 2: Some of the fungi possibly responsible for the blight are common natives that have never been serious problems in the past. There is now much speculation about multiple factors within the environment causing the decline of the T. taxifolia population. Several successive drought years that occurred in the mid-1950s were blamed for the initial decline, but this population is believed to have occupied the area since the last glacial period (Toops, 1981). A population established since then is likely to have survived more severe climatic shifts. Just prior to the decline of Torreya, part of the uplands above the Apalachicola bluffs were cleared and planted with slash pine (Nicholson, 1990). It is believed that the clearing of the area may have changed the hydrology of the ravines, or the reduction of canopy cover may have increased ambient temperature as more heat radiated off the unshaded soil. These factors could have weakened the trees to the point that they were more likely to exhibit pathologic symptoms of the fungus (Nicholson, 1990). Page 12: It is also possible that current populations are climatic relicts that once had a more northerly range, but during the last glacial the advancing ice pushed them south where they mixed with the temperate deciduous forest species. It is possible that when the ice retreated, the Torreya did not reoccupy their northern range and could only survive in cool, moist refuges such as evergreen mountain forests, ravines, and some riverbanks. This is believed to be the case for Torreya taxifolia. 2D. WHETHER THE FUSARIUM IS NATIVE OR EXOTIC, DO NORTHWARD PLANTINGS INDICATE DISEASE RESISTANCE? (2) Test for whether Fusarium torreyae is present in either or both of these North Carolina mature, seed-producing groves (Biltmore and Highlands). Test both the originally planted trees and the naturally spawned saplings and seedlings nearby that were evidently dispersed from seed by squirrels. (3a) If the pathogen is present, but nonlethal, then genetic engineering should not even be considered. Instead, the ideal way to free this endangered tree from its current glide toward extinction is assisted migration (see next section). Note: It is recommended that Prof. Jason Smith be queried on this matter, as it is possible that he has already sampled (and perhaps found) Fusarium torreyae in the Biltmore grove  and with as-yet nonlethal consequences. (3b) If the pathogen is not present in the two oldest North Carolina groves, the question turns to: What is the farthest northward extent the pathogen has reached  and is it problematic there? Notably, is it on the grounds of Atlanta Botanical Garden or Callaway Gardens (southwest of Atlanta)? And has it established even farther northward in any of the ex situ plantings of Torreya in the northern region of Georgia (the southern-most Appalachian mountains). Overall, is there a sense that northward locations reduce or eliminate the destructive (even lethal) capabilities of Fusarium torreyae? Connie Barlow presents 15 years of baseline photos and videos she recorded of Torreya taxifolia and Taxus floridana in their historically native range in Torreya State Park in northern Florida. Photos of spectacular California Torreya trees, recorded by Barlow in 2005, show the potential for Florida Torreya recovery efforts to strive for. Fred Bess shows (in 2014 video) 2 Asian conifers (Cephalotaxus and Cunninghamia) used in landscaping that are Torreya look-alikes. Paleoecological evidence that Florida's Torreya was "left behind" in its peak glacial refuge supports "assisted migration" actions. • (undated) Draft Environmental Impact Statement - "... the bluffs and ravines served as a refugium when northern species migrated southward during glacial times and today the area has a high rate of endemism and unique vegetation." • 1984 Federal Register. EXCERPTS: The Service determines Torreya taxifolia (Florida torreya) to be an endangered species pursuant to the Endangered Species Act. This plant is endemic to the Apalachicola River area in Florida and Georgia. It is endangered by a fungal disease, which kills trees before they reach seed-bearing size.... An evergreen tree reaching 18 meters tall, Torreya taxifolia (Florida torreya) was first discovered in 1834 and formally described in 1838. The Florida torreya and other endemics of the Apalachicola River system have received much attention from scientists and local residents. The relictual nature of this area accounts for the presence of many unique species (James, 1967). 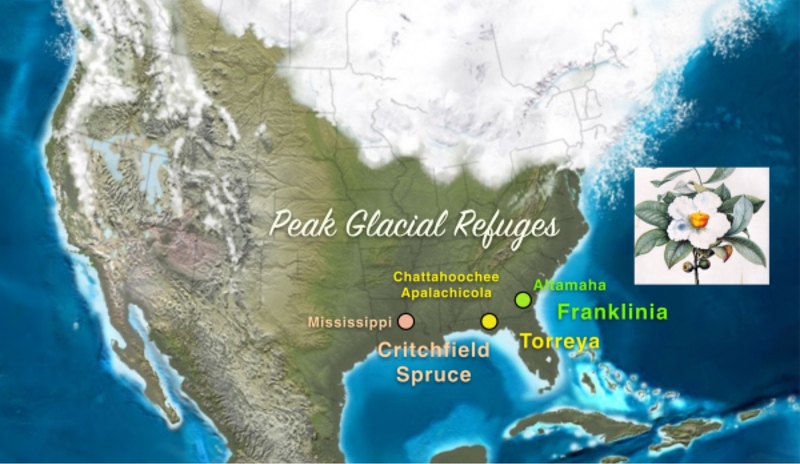 During recent glaciations, species migrated southward by way of the Apalachicola River system, which served as a refugium during cooling periods. The Apalachicola River is the only Deep River system that has its headwaters in the southern Appalachian Mountains. With the receding of the glaciers, cool moist conditions persisted on the bluffs and ravines of the Apalachicola River after climatic change rendered the surrounding area much drier and warmer. The entire Apalachicola River bluff system today is an extremely diverse and unique ecosystem, of which Torreya taxifolia is a part. 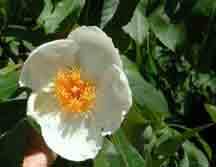 ... All mature viable trees are located in botanical gardens and arboreta. The wild trees do not now have good long-term survival prospects. The initial focus of recovery will be to address controlling the disease. After the disease has been overcome, recovery efforts would address reintroduction of the species into the wild." • 1986 "Florida Torreya Recovery Plan", U.S. Fish & Wildlife Service - EXCERPTS: Torreya is a genus of four or five species from Florida and Georgia, California, China, and Japan. The present geographic distribution of the genus is similar to the distributions of several other plant genera. The distributions, together with fossil evidence, suggest that these genera had wide distributions during the Tertiary Period that were subsequently reduced by climatic changes during the Quaternary (James 1961, Delcourt and Delcourt 1975).... The decline of Torreya taxifolia in its native habitat may ultimately be due to environmental factors that stressed the trees, including alteration of its forest habitat, alteration of vegetation above the ravines it inhabits, alteration of water seepage into the ravines, or droughts. The proximate causes of the decline are an assortment of fungal infections, resulting in stem cankers, stem and leaf blight, and possibly other problems (see p. 6). The decline has affected all wild Florida trees (Godfrey and Kurz 1962) and possibly all cultivated trees.... The species may be restricted to the area because it failed to migrate northward at the end of the Pleistocene. • 2017 - "Steephead Salamander Search, and the Apalachicola's Ice Age Refugees", by Rob Diaz de Villegas, WFSU Ecology Blog, 16 November 2017 (contains many excellent photos) EXCERPTS: ... If you go back millions of years, before the ravines that you see are in place, you would have had a relatively large, flat, sandy plateau," says David Printiss. Printiss is The Nature Conservancy's north Florida program manager, overseeing the Conservancy's Apalachicola Bluffs and Ravines Preserve. "During the last glaciation," says David Printiss, "all species from the Appalachians were pushed southwards by the cold weather." These changes occurred over thousands of years, so everything from large tree species to little salamanders would shift their ranges as temperatures changed. When these Appalachian species found steep, narrow ravines with cool, flowing water, it felt like home. So when temperatures got warmer again, many northern plants and animals left behind small populations in ravines and slope forests. Some entire species remained here, and only here. And so we have an interesting mix of flora and fauna that makes steepheads unique. "We have the southern end of the distribution of species like mountain laurel that you wouldn't expect," says David Printiss. "And you have other species that you'd call glacial relicts. They were left behind, so their sister species are up in the Appalachians.... There are other [relict] species like the torreya tree that just simply could not run uphill fast enough and was left behind," says Printiss. "So its global distribution is Torreya State Park and the Apalachicola Bluffs and Ravines Preserve." 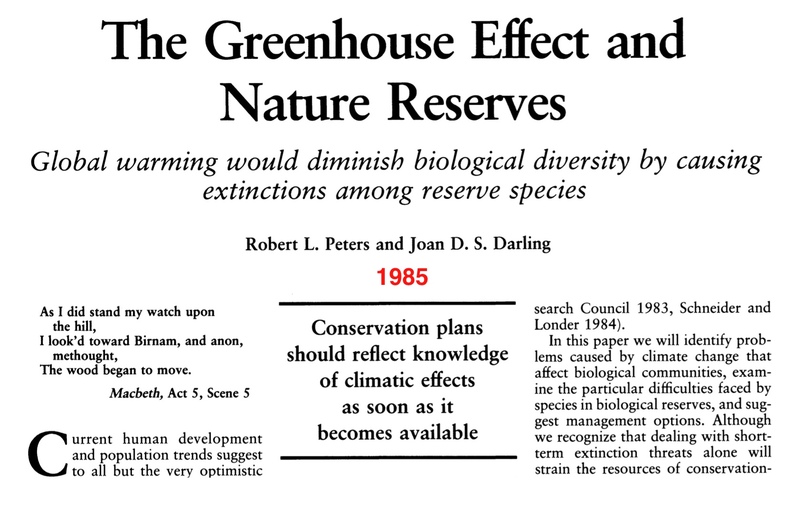 The 1986 recovery plan, p. 8, confines the geographical goal: "(3) ... investigate the decline to determine its cause, and, if possible, to find a cure; and (4) introduce cultivated plants into secure habitat within its former range." EXCERPTS: ... All the unknowns confound any recovery plan. Is Torreya an early victim of global warming and a precursor of a new wave of inexplicable extinctions? Has local land use destroyed this Torreya habitat? Is there any point in trying to fortify existing populations by replanting if a virulent pathogen lurks unchecked? Will propagations of cuttings from existing wild trees carry a new pathogen wherever the new trees are distributed? Or, frozen by doubt, will plant scientists do nothing while the unique species slips away, tree by tree? ... The Apalachicola Bluffs and the ravines that dissect them are at the cusp of the deciduous woodlands and the lush subtropical jungle. It is an undecided forest, its luxuriant ecotone having been shaped by the forces of glaciation during the Pleistocene era. As a New Englander used to deciduous woods, I was unsettled by seeing beech, maple, and hickory mixed with bold fan-leafed palmettos, spiky yuccas, and huge evergreen magnolias. "... In June 1989 I joined Mark Schwartz and we surveyed as many ravine systems as possible, carefully mapping and labeling the plants growing there.... When we returned in the fall, we collected small cuttings, tissue samples, and soil samples for genetic, propagation, and pathological studies. Alarmingly, in just a few months, a number of our mapped trees had been lost  to deer rubbing, disease, and even falling limbs from the upper canopy. The species was going extinct before our eyes and will probably not last another generation. ... More than 2,500 cuttings were collected from 166 trees and were treated with a variety of hormones to promote rooting. These were brought to Harvard's Arnold Arboretum, where 2,100 were successfully rooted and potted. The accession number of the sampled trees follows each of these clones (and any subsequent propagations) with the particulars as to the plant's original location in the wild. Therefore, in the distant future, ravines might be replanted with the same genetic material that once grew there. Cuttings taken from the wild five years ago are growing well and so far show no signs of disease. ... While the few remaining saplings may outlast the blight, not many people who have seen the trees would wager their homes on it. More likely, clusters of trees, propagated from specific ravines, will be grown in botanical gardens, universities, preserves, and state parks. This Florida native, as evidenced by the few healthy trees in cultivation, seems to thrive on the southern slopes of the Appalachian Mountains and is more cold tolerant than its present range would suggest. Possibly an Apalchicola refugium can be re-created, an artificial Torreya forest where pollen can float, genes mingle, and the evolution of the past hundred million years can continue, even if it is in a pitifully discounted format. • CLASSIC BOTANY PAPERS are excerpted in a special section toward the bottom of this webpage. 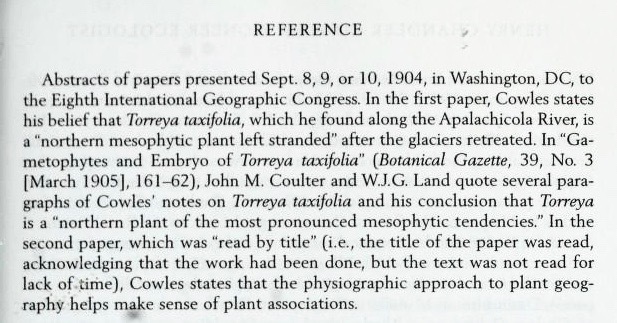 Two 1905 papers (one by John Coulter and the other by H. C. Cowles) identify Torreya taxifolia as a glacial relict. Their proclamations were preceded decades earlier by none other than Asa Gray. EXCERPT: ... In a study of endangered species published in 2000, Rob Channell and Mark Lomolino concluded that "most species examined persist in the periphery of their historical geographic ranges." The implication is that the last place a troubled species is found may not, in fact, be the best place to assist its recovery. Transplantation is an uncommon and controversial technique for biodiversity conservation today. But after the greenhouse effect has ratcheted up temperatures and rerouted rainfall, it surely will become the norm. If gardening a few local patches of endangered plants is tough today, it's going to get a lot tougher when, like it or not, we become gardeners of the planet. Helping plants track climate change from one patch of forest to another will be a routine tactic for conserving biodiversity decades hence. Is it too early to begin now with Florida torreya? Note: My 1999 visit to Torreya State Park and subsequent ruminations appear on pages 229-231. Later, I learned there had been an advocate for northward movement of Torreya before me. In late February 2004 I visited the Biltmore Estate and Garden near Asheville NC for the first time. There I met with Bill Alexander in his office before he showed me the otherwise unmarked site where Florida Torreya had been growing  and naturalizing. Bill told me that he had advocated (alas, to no avail) at a conference in the 1990s for assisting the recovery of Torreya taxifolia by planting more specimens in northward locales. I documented that conversation in a chapter I contributed to a 2009 book, published by MIT Press. ... One section of [my 2001 Ghosts of Evolution] book used the deep-time perspective to re-examine the circumstances of perhaps the world's most endangered species of conifer tree: the Florida torreya (Torreya taxifolia). It occurred to me that torreya's desperate plight owed to its failure to migrate north (perhaps for want of a seed disperser) from its Ice Age refuge in the Florida panhandle to habitat better suited to the tree's needs in peak interglacial times. That better habitat would likely have been the core of torreya's range during previous interglacials: the southern and central Appalachian Mountains. ABOVE: Wild Earth journal published a "Forum" pair of essays in its Winter 2004/2005 issue. Access in pdf the PRO Assisted Migration article by Connie Barlow and Paul S. Martin. Also, the ANTI Assisted Migration article by Mark Schwartz. Hello Torreya Group: This is Connie Barlow. I am dedicating today to Torreya taxifolia, as I need to catch up with you all with thoughts and conversations that have come my way over the past few weeks, and which only now I am having a chance to assimilate and pass on. Bascially, since I last wrote to you in depth, I have visited the T. taxifolia propagation effort at Atlanta Botanical Garden (Ron Determann and Carol Denhoff), the thriving grove of T. taxifolia at the Biltmore Gardens in Asheville (Bill Alexander), the office of Hazel and Paul Delcourt at University of Tennessee Knoxville (from which I walked off with a lot of useful papers to read and a lot of sobering thoughts), and a potential private preserve for rewilding T. tax along the east side of the Cumberland Plateau. ....[final para] This realm of thought is very depressing for me, because I am a wildlands advocate and would vastly prefer us to simply make preserves big enough and corridors connected enough for nature to do what it needs to do without our meddling. The Fall issue of Wild Earth is on the theme of corridors, so what sorts of contributions might be generated from this group, from our discussion of T. taxifolia and all the ancillary thoughts that go along with that? "Deep Time Lags: Lessons from Pleistocene Ecology"
EXCERPTS CONTINUE (that focus on "assisted migration" as a new tool in conservation biology): ... Assisted migration as a conservation tool is both fascinating and frightening for anyone focused on plants. It is fascinating because endangered plants can be planted by whomever so chooses, with no governmental oversight or prohibitions—provided that private seed stock is available and that one or more private landowners volunteer suitable acreage toward this end. This cheap-and-easy route for helping imperiled plants is in stark contrast to the high-profile, high-cost, and governmentally complicated range recovery programs for mobile animals, like gray wolf, lynx, and California condor. &nbps; Assisted migration frightens for precisely the same reasons it fascinates: anybody can do it, for good or ill, and with care or abandon. Its promotion could undermine decades of public education about the dangers of nonnative plants, as well as more recent efforts to promote the concept of wildlands corridors and connectivity. Still, in an age of deforestation, severe habitat fragmentation, and rapid global warming, assisted migration as a plant conservation tool should not be ignored. According to Peter Wharton, curator of the Asian Garden of the University of British Columbia Botanical Garden writes, "... the Torreya question is a door to immense issues relating to how we facilitate global 'floraforming' of vegetational zones in a warming world. It represents another layer of responsibility for those of us who have a passion for forests and wish to promote the ecologically sensitive reforestation of so many degraded forest ecosystems worldwide" (P. Wharton, personal communication). 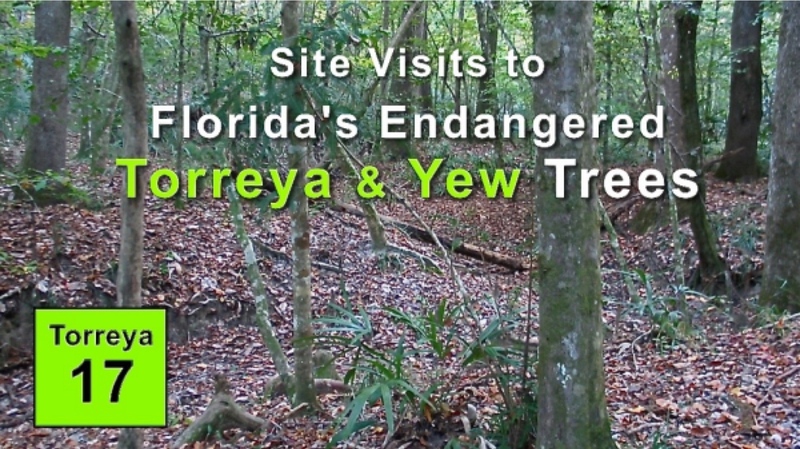 A visit to the Annotated Scholarly Links webpage on this website reveals that the controversy over assisted migration of Florida Torreya, (and the fact that citizens have stepped out ahead of official managers of this listed endangered species) has garnered a lot of attention within both the conservation biology and forestry professions. The MEDIA have also given this controversy a great deal of attention. On the History of Torreya Guardians webpage one can learn about these citizen actions and also access a linked and excerpted list of Torreya Guardians in the Media. Overall, TORREYA GUARDIANS IN THE MEDIA includes news reports in these science journals: Nature, Nature Climate Change, Science, Forestry Chronicle, Environmental Science and Policy. 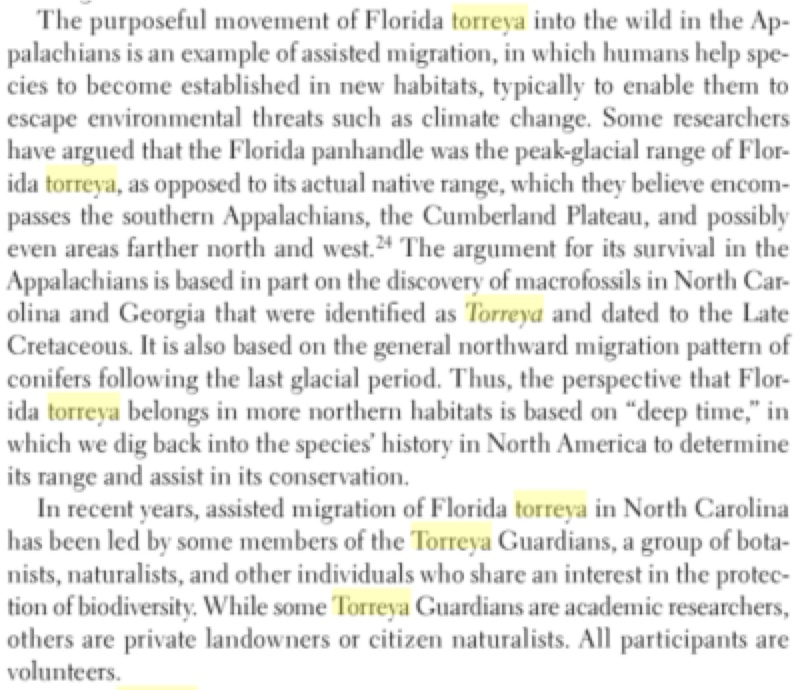 Non-academic news outlets and magazines have also reported on Torreya Guardians: New York Times, Los Angeles Times, Scientific American, Audubon, Orion, Sierra Magazine, Earth Island Journal. Research papers published in FORESTRY JOURNALS have also paid a good bit of attention to the actions of Torreya Guardians. Foresters have a more use-oriented and practical relationship with tree species than do conservation biologists. Owing to ongoing and expected climate change (and the impacts of warmth and drought already evident even among common native trees), an urgency manifests among foresters to move past the assisted migration controversy. Hence, Torreya Guardians is helpful in that we serve as the radical edge of a continuum of possible climate adaptations actions, as pictured in the image below. Nevertheless, because it is professionals in CONSERVATION BIOLOGY rather than FORESTRY who decide the actions authorized for Florida Torreya climate adaptation under the Endangered Species Act, several of the key multi-author or review papers published in conservation biology or botany journals will be focal points below. These demonstrate the high visibility that Florida Torreya receives. Conservationist scientists, activists, managers, journalists, and others who need to become familiar with the 21st century controversy over assisted migration (a.k.a. managed relocation, assisted colonization) as a new tool for climate adaptation  not only of endangered species but of other plants and animals unlikely to track the rapid movement of climate zones on their own  may access the SCHOLARLY LINKS webpage on this website, as below. Although the modern debate about assisted migration began around 2007, prominent conservation biologists recognized decades earlier that, should global warming continue, humans would indeed need to play a role in assisting species to migrate to cooler realms. 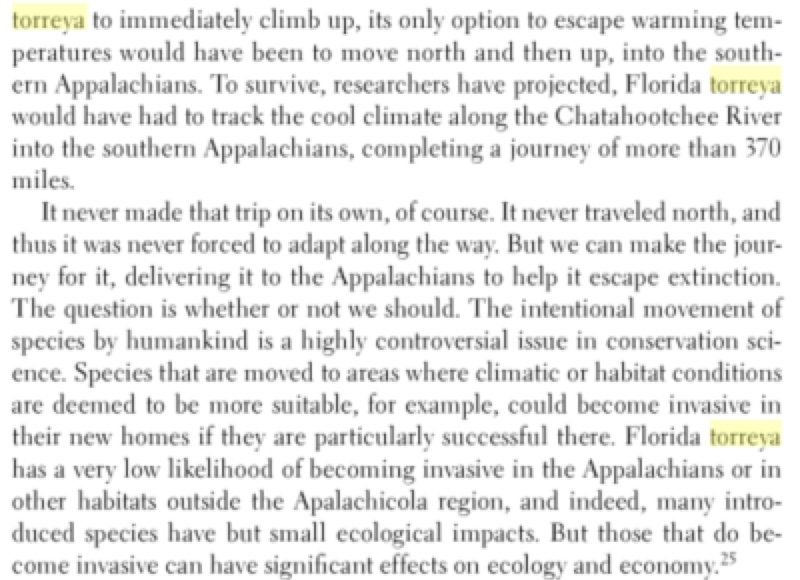 Below is the first widely-cited CONSERVATION BIOLOGY paper, 1985, to recognize that GLOBAL WARMING would make HUMAN ASSISTANCE IN MIGRATION necessary. Published in the journal Bioscience, this paper by Robert L. Peters and Joan D.S. Darling is also highly recommended for its thorough and well-written overview of the basic concepts in conservation biology. EXCERPTS: "... If estimates of a several-hundred-kilometer poleward shift in temperate biotic belts during the next [21st] century are correct, then a localized population now living where temperatures are near its maximum thermal tolerance would have to shift northward at a rate of several kilometers per year to avoid being left behind in areas too warm for survival...."
Note: A 2016 Research Summary (Technical Report) of U.S. Forest Service (289 pages in pdf), references the above 1985 paper, as excerpted below: Effects of Drought on Forests and Rangelands in the United States: A Comprehensive Science Synthesis, James Vose et al., editors (collaborative effort of 77 scientists). CONNIE BARLOW WRITES: I initiated the above Annotated Scholarly Links webpage in 2007, when journalist Douglas Fox published in Conservation Magazine a cover story: "When Worlds Collide". Our citizen-led assisted migration actions of Torreya Guardians was the introductory example in that article, but our effort was presented as just the preview of what would follow as climate change pressed on. Nearly simultaneously, the New York Times posted a story by science writer Carl Zimmer: "A Radical Step to Preserve Species: Assisted Migration". Through 2014, I could barely keep up on all the papers and news reports dealing with this utterly new and (to many) disturbing conservation strategy. Using "Google Alerts" to ongoingly learn of new publications has been a great help in recent years for keeping this page current, while preserving its complex history. 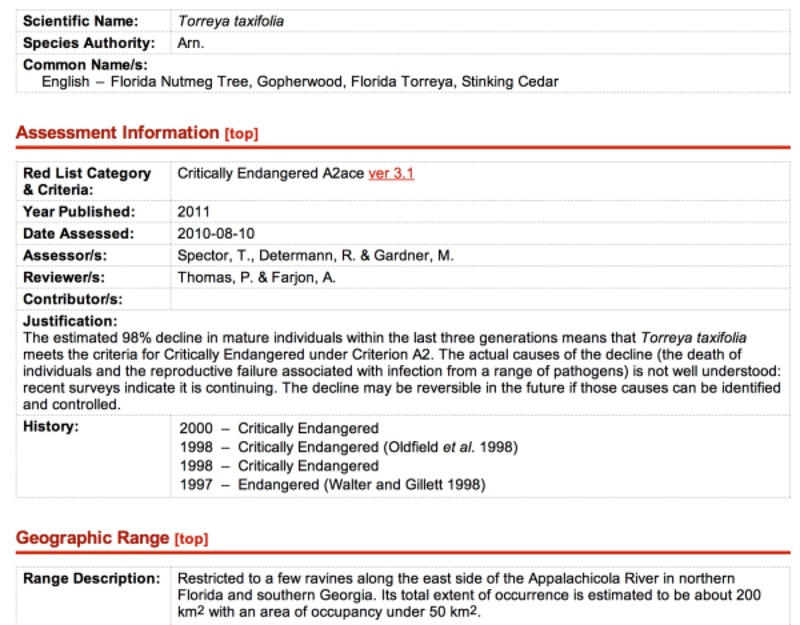 Florida Torreya as focal species: As of March 2019, if you do an internal "Find" for "Torreya" within this Annotated Scholarly Links webpage you will discover that this word appears 171 times  at least 80 percent of which occur within the excerpts of papers, articles and news reports on assisted migration that are listed, linked, and annotated. In 2008, at the annual meeting of the Ecological Society of America, a Managed Relocation Working Group was formed to explore and aim for a coauthored statement on whether and how to professionally move forward on this new tool in conservation biology for assisting species and ecological communities in moving in sync with the expected shifts in climate zones. Two multi-author papers resulted from that initiative: David M. Richardson and 22 coauthors in 2009; then Mark W. Schwartz and 30 coauthors in 2012. The citizen actions of Torreya Guardians were mentioned in both papers, as below. • 2009 - "Multidimensional Evaluation of Managed Relocation", by David M. Richardson, Jessica J. Hellmann, Jason S. McLachlan, Dov F. Sax, Mark W. Schwartz, Patrick Gonzalez, E. Jean Brennan, Alejandro Camacho, Terry L. Root, Osvaldo E. Sala, Stephen H. Schneider, Daniel M. Ashe, Jamie Rappaport Clark, Regan Early, Julie R. Etterson, E. Dwight Fielder, Jacquelyn L. Gill, Ben A. Minteer, Stephen Polasky, Hugh D. Safford, Andrew R. Thompson, and Mark Vellend, edited by Paul R. Ehrlich, 2009, Proceedings of the National Academy of Sciences. ABSTRACT: Managed relocation (MR) has rapidly emerged as a potential intervention strategy in the toolbox of biodiversity management under climate change. Previous authors have suggested that MR (also referred to as assisted colonization, assisted migration, or assisted translocation) could be a last-alternative option after interrogating a linear decision tree. We argue that numerous interacting and value-laden considerations demand a more inclusive strategy for evaluating MR. The pace of modern climate change demands decision making with imperfect information, and tools that elucidate this uncertainty and integrate scientific information and social values are urgently needed. We present a heuristic tool that incorporates both ecological and social criteria in a multidimensional decision-making framework. For visualization purposes, we collapse these criteria into 4 classes that can be depicted in graphical 2-D space. This framework offers a pragmatic approach for summarizing key dimensions of MR: capturing uncertainty in the evaluation criteria, creating transparency in the evaluation process, and recognizing the inherent tradeoffs that different stakeholders bring to evaluation of MR and its alternatives. This 2009 multi-author paper includes a "Supplementary information" pdf summarizing the application of their methods to 3 CASE STUDIES, of which Torreya taxifolia was case study #2. "Case 2: Translocating Torreya taxifolia to the Southern Appalachians"
EXCERPT: ... More recently, 2 efforts have begun for the conservation of this species. Torreya taxifolia has been planted in North Carolina in an attempt to establish populations in that region (http://www.torreyaguardians.org/). This effort was done as an indirect response to climate change. The species is in declining in its native range with no sign of recovery. Proponents felt that this species 'belongs' in the region where they relocated it. They also feel that this intervention is the best chance for the species to survive, given its condition in its native range. Evaluation of Case 2 by Stakeholder A, "Advocate for a Broad Distribution of Torreya taxifolia." Feasibility score is 4 (±1): Seeds are moderately easy to germinate; plant material in the form of cuttings are legally available through several botanical gardens in possession of numerous genotypes of known origin. Cuttings, however, take many years to reestablish apical dominance, so the process is slow. With a small number of mature female trees at Biltmore Gardens (Asheville, NC), the most available seed represents a very narrow subset of the genetic variability of the species. Although this is a federally listed species, it is possible to plant legally obtained plant material on private lands without seeking state or federal approval or permits. Acceptability score is 4.5(±0.5): The species is generally sparse and does not tend to form monospecific stands. The likelihood of this species becoming weedy is low. Focal Impact score is 4.5 (±0.5): There is no supportive evidence that we can conserve the species in its recent historical range. Torreya taxifolia represents 1 of 2 North American species in the genus and 1 of 5 North American Representatives in its family; 1 of 7 species in its genus and 16 species in its family worldwide (17). Loss of this species significantly erodes biodiversity. Collateral impact score is 4.5 (±0.5): This species is slow growing, produces few seed and is of relatively small stature as a mature tree. Being dioecious and producing relatively few seeds, this species would be relatively easy to control. Related taxa tend to be found either in localized patches or as subdominants in mixed forests. It appears unlikely to dominate and displace other Appalachian forest species  [none of the 10 species in the family are known to be invasive when planted outside their range (18). Note: Case #1 in the above paper was on the Bay Checkerspot Butterfly. However, that case dropped out of continuing discussion when in April 2014, this mobile creature did something unexpected: "Endangered butterfly defies climate change with new diet and habitat". Case #3 centered on actions by commercial foresters. That leaves Florida Torreya as the focal species for discussion of assisted migration among conservation biologists. ABSTRACT: Managed relocation is defined as the movement of species, populations, or genotypes to places outside the areas of their historical distributions to maintain biological diversity or ecosystem functioning with changing climate. It has been claimed that a major extinction event is under way and that climate change is increasing its severity. Projections indicating that climate change may drive substantial losses of biodiversity have compelled some scientists to suggest that traditional management strategies are insufficient. The managed relocation of species is a controversial management response to climate change. 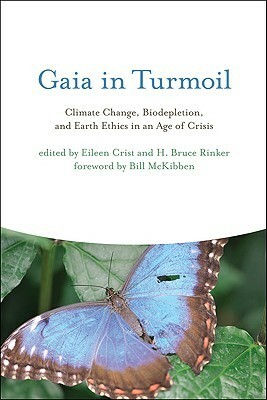 The published literature has emphasized biological concerns over difficult ethical, legal, and policy issues. Furthermore, ongoing managed relocation actions lack scientific and societal engagement. Our interdisciplinary team considered ethics, law, policy, ecology, and natural resources management in order to identify the key issues of managed relocation relevant for developing sound policies that support decisions for resource management. We recommend that government agencies develop and adopt best practices for managed relocation. 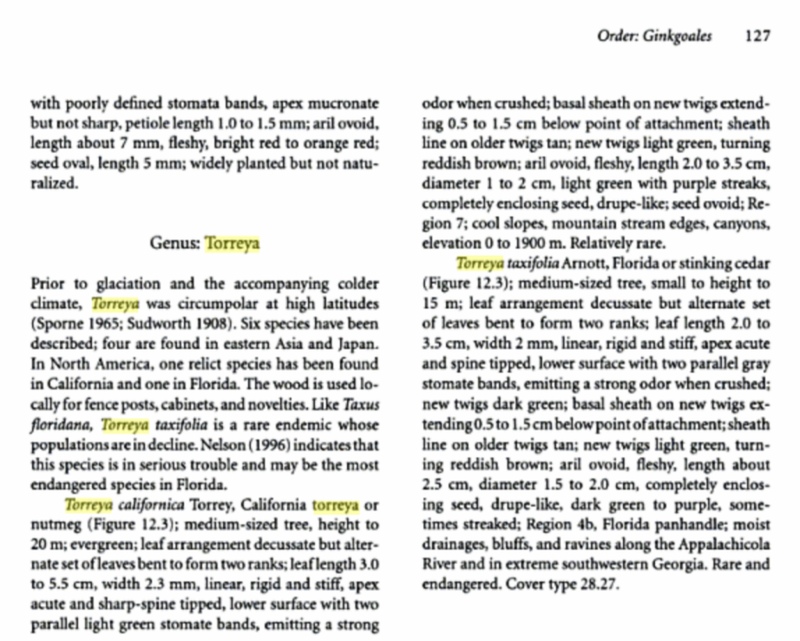 Note: The word "Torreya" appears 11 times in this paper. Key excerpts below. EXCERPTS: ... Managed relocation is already being applied. Climate motivated translocations have been implemented with an endangered tree, Torreya taxifolia, in the southeastern United States (Barlow 2011; www.torreyaguardians.org) and with two butterfly species in the United Kingdom (Willis et al. 2009). Additional undocumented cases may be more frequent than is realized. For example, giant sequoia (Sequoiadendron giganteum) has been widely planted outside its historical range, although the motivation for such plantings remains unclear. Pressure to undertake managed relocation is likely to increase as the consequences of climate change become more apparent. "...Therefore, it may be as important to discourage ad hoc managed relocation by enthusiastic individuals or groups as it is to provide guidelines for well-planned actions. So far, there has been little discussion of how best to limit unsanctioned private actions. 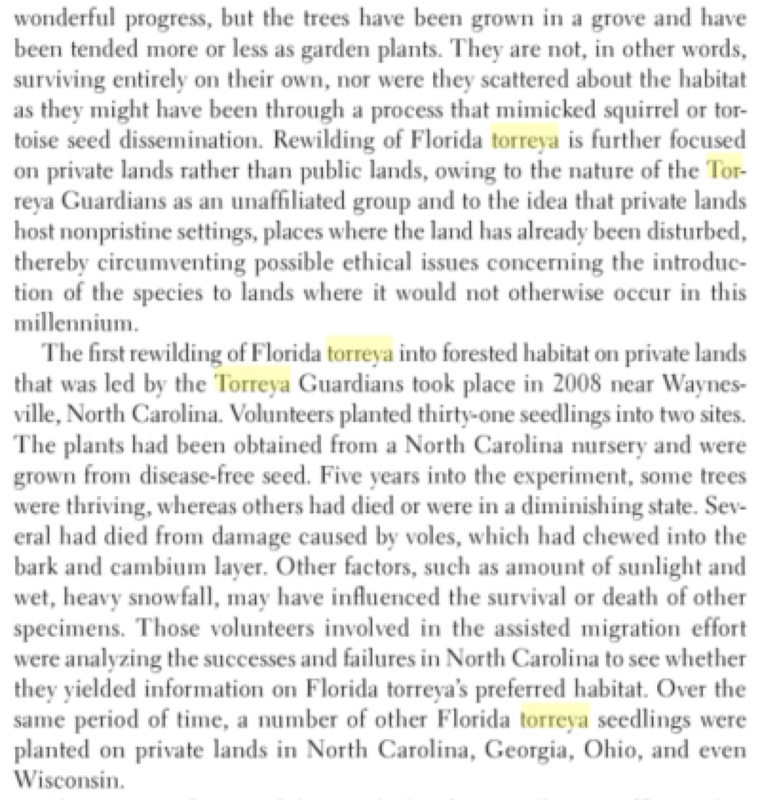 This is a curious gap, given that one of the most visible cases of managed relocation is being conducted by a citizen action group (www.torreya guardians.org) that has moved a federally listed endangered plant species across state lines and 600 kilometers north of the historical distribution of the species, without any regulatory oversight (figure 1). This is not to imply a governance failure. Plants are afforded limited protection under the ESA, no oversight was required by the agencies, and this private group sought no public consultation. Although legislating or regulating restraint sounds simple, it is difficult to do so effectively. Private translocation, as the Lake Davis example mentioned above demonstrates, can be extremely difficult to detect and prevent. However, individuals and groups like the Torreya Guardians, who are motivated by conservation goals, may be dissuadable by education efforts. An ideal policy framework for managed relocation would not rely on a simple prohibition of private actions but, instead, would include outreach efforts designed to inform well-meaning conservation advocates of the harm that inappropriate translocation can cause. Comments on Schwartz et al. 2012 by Connie Barlow were posted on this website, December 2012. EXCERPTS: ... A second reason why the 2012 paper's definition of "assisted migration" does not accurately depict the intentions of what we at Torreya Guardians are doing is that, with respect to our particular species, the core group of activists and private landowners believe that our actions are simply assisting this species in mirroring the natural northward migrations it is reasonably assumed to have undertaken in sync with the onset and intensification of previous interglacial episodes of climate warming during the Pleistocene. T. taxifolia's "historic native range" is, after all, also known to be a well-established "pocket glacial refugium," and thus it served as a vitally important refuge for eastern deciduous forest species at the peak of each glacial episode. That is why the late Paul S. Martin (Pleistocene ecologist) depicted Torreya taxifolia as having been "left behind in near time." 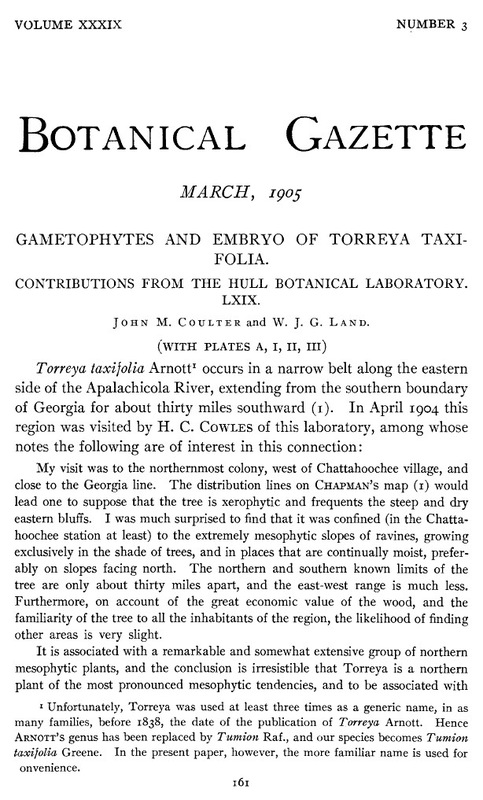 See our 2004 paper on this topic, "Bring Torreya Taxifolia North  Now". What the word "migration" thus means in this context is not the annual migration of seasonally resident animal species but the epochal movements of the species at the timescale of Milankovitch cycles. By using the term "migration" to depict what we are are assisting Torreya in doing, rather than "colonization" or "relocation," we hope that regional residents near our project sites will be able to grasp that we are simply assisting this endangered species in doing what it naturally has done in previous warming periods. The term "assisted migration" thus has a far less interventionist aura to it than does the hegemonic feel of "colonization" or "relocation." ...In my view, until conservation biologists and managers and the public at large are given an opportunity to reflect on how long-lived species and genera of plants (such as Torreya) have indeed had to migrate long distances in the past, this issue of "managed relocation" will continue to foment more discord than necessary. We must cast what we are doing (or thinking about doing) not in the light of purely artificial intrusions in natural ecological dynamics but rather as necessary assistance in helping plants do what they have naturally done over the course of millennia and millions of years. Frustrated by the lack of a deep-time perspective by the ESA advisory group for Torreya, I wrote and posted online the essay that I am grateful the 2012 Bioscience paper chose to include in its references cited: "Paleoecology and the assisted migration debate: Why a deep-time perspective is vital". This 12-point summary aggregates the data and develops strong scientific reasoning in favor of assisted migration for Torreya taxifolia. The essay also advocates a shift in the foundational paradigm from assuming 1491 is the proper time-standard for assessing native range to a "deep-time" perspective grounded in a paleoecological understanding that native ranges for all plants in temperate latitudes of the Northern Hemisphere have undergone substantial altitudinal and/or latitudinal migrations that have tracked changes in climate during the past several million years of Pleistocene glacial and interglacial cycles. Note 1: Barlow's above comments were written in 2012. 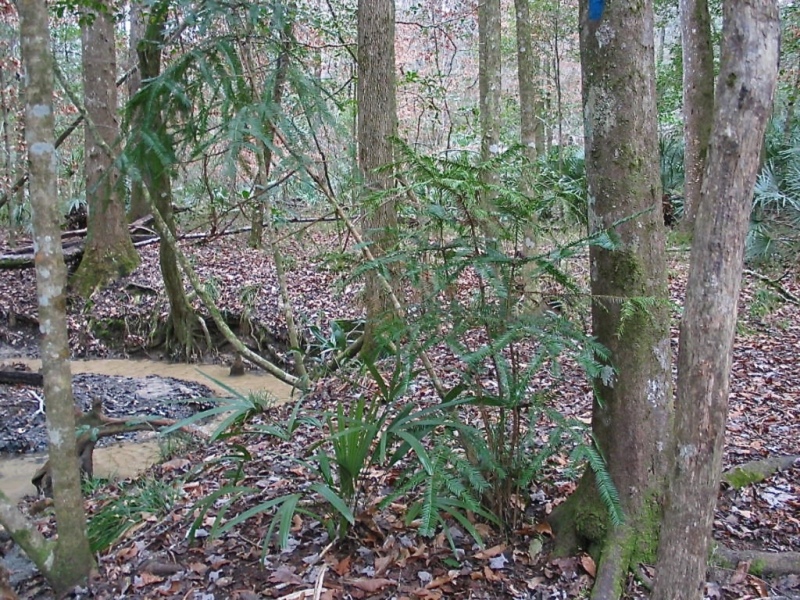 In 2015 (following a site visit to a 19th-century horticultural planting of Florida Torreya along the Chattahoochee River by Columbus GA), she revised her "glacial relict hypothesis" to offer the possibility that at whichever glacial episode during the Pleistocene Florida Torreya extended its range into Florida while losing its populations northward, it may never have been able to return northward again. That is, Torreya may have had to survive previous interglacial warm times in its current Holocene range. It is only the anthropogenic warming within the last hundred years that pushed this species over a physiological threshold of tolerance. Access the full explanation of this, and the Chattahoochee Torreya Tree VIDEO at this section on the Learnings webpage. Note 2: The lead author of the above paper, Mark Schwartz, was the lead scientist exploring Florida torreya's decline in field studies in the early 90s; he is also the author of the anti-assisted-migration Torreya paper that was paired with the Barlow and Martin pro-assisted-migration Torreya paper in the Forum section of the Winter 2005/5 issue of Wild Earth. 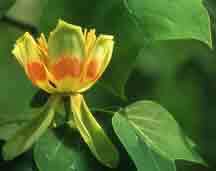 • 2017 - REVIEW: "Climate Change, Managed Relocation, and the Risk of Intra-Continental Plant Invasions: A Theoretical and Empirical Exploration Relative to the Flora of New England", by Jesse Bellemare, Bryan Connolly, and Dov F. Sax, June 2017, Featured Review, Rhodora. 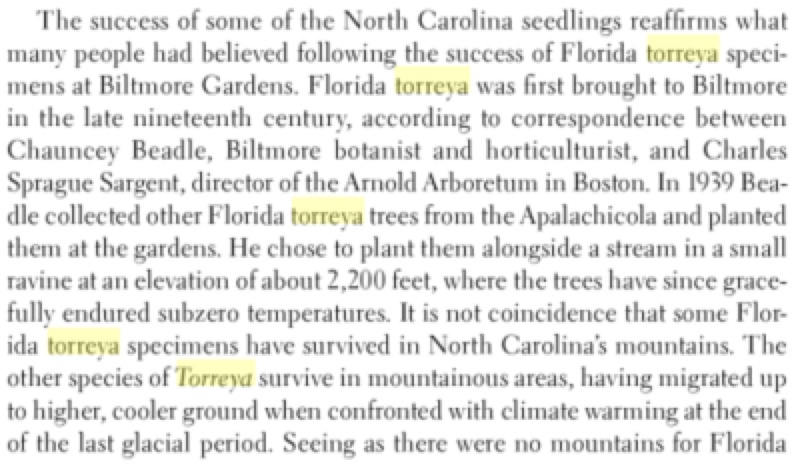 EXCERPT RE TORREYA: In the well-documented case of T. taxifolia, a private group called the Torreya Guardians has already launched unofficial managed relocation efforts aiming to naturalize the species at sites in the southern Appalachians, where the tree apparently grows more successfully than within its small native range on the coastal plain (Barlow and Martin 2004; but see Schwartz 2004). • 2017 - INVASIVE SPECIES ADVISORY COMMITTEE: "Managed Relocation: Reducing the Risk of Biological Invasion" - U.S. Department of the Interior, December 2017 (3 pages plus citations). ISAC Members: Edward E. Clark, Jr. (Wildlife Center of Virginia), Dan Simberloff (University of Tennessee), Mark Schwartz (University of California - Davis), Brent Stewart (Hubbs-SeaWorld Research Institute), and John Peter Thompson (Maryland Nursery and Landscape Association). EXCERPTS: ... In order to further Action 4.1.3, a Managed Relocation Task Team was established under the auspices of ISAC. This paper reflects the work of that task team, including internal group discussions, expert consultations, and literature review. The Task Team considered two parallel bodies of science to inform the analysis: a) the species translocation literature (Schwartz and Martin 2013; Seddon 2010), particularly as it relates to changing climates and b) a parallel, more empirically rich and much larger literature on the harmful consequences of invasive species on ecosystems (Mack et al. 2000) and on prediction and management of the risks of invasion (Hulme 2009; Kolar and Lodge 2002; Simberloff 2009; Thuiller et al. 2005). See Annex 1 for examples of managed relocation scenarios, Annex 2 for a list of referenced literature, and additional as citations for further reading. Factual correction by Connie Barlow: Torreya Guardians did not move the species into Oregon; that was done by a private landowner in Oregon several decades before the group was established; the group did accept 3,900 seeds offered by the Oregon grower in 2016, for experimental plantings east of the Mississippi. "... A recent position paper by the Ecological Society of Australia supports assisted colonization as a management response to climate change (http://www.ecolsoc.org.au/Position_papers/ClimateChange.htm). Other organizations could follow, driven by desperation in the face of anticipated species loss. Indeed, some scientists have claimed that rejecting assisted colonization will 'greatly increase the threat of climate-driven extinction' . 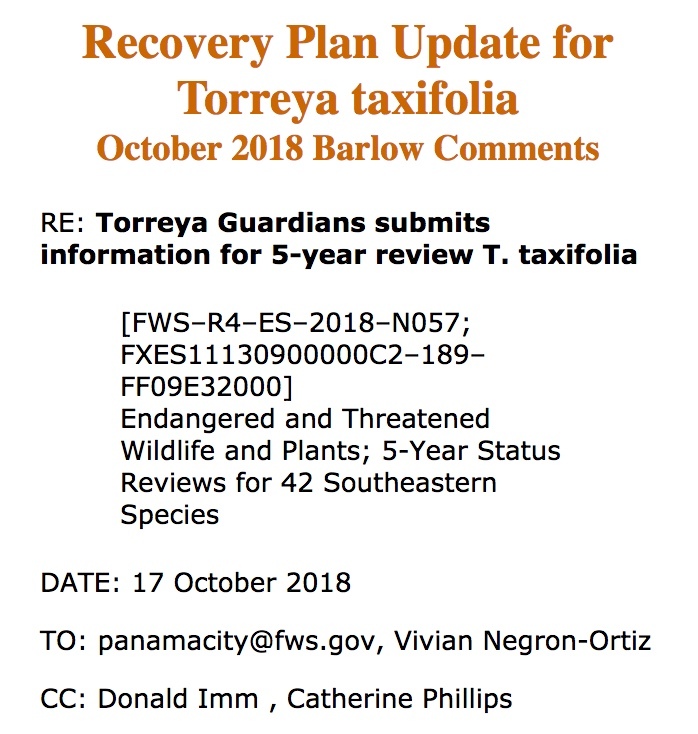 At least one private group has already taken matters into its own hands: the 'Torreya Guardians' (http:// www.torreyaguardians.org) are planting seeds and seedlings across the eastern USA to expand the range of an endangered conifer, Torreya taxifolia, whose modern distribution is confined to the Florida panhandle. 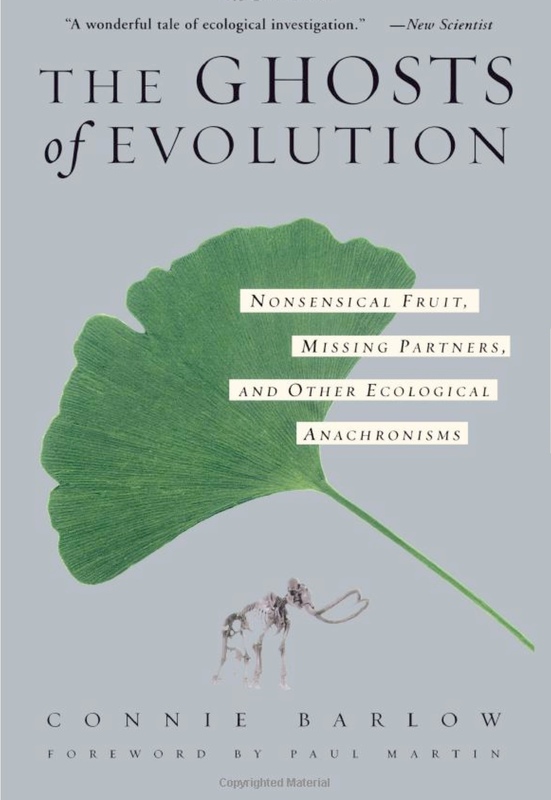 These events signal the emergence among some conservationists of a new philosophy regarding species introductions that is at odds with the traditional objective of preservation...."
• Mark Schwartz did a great deal of field research on Torreya taxfiolia (with many publications) in the 1990s. (An internal find for "Schwartz" within this webpage turns up 28 instances.) 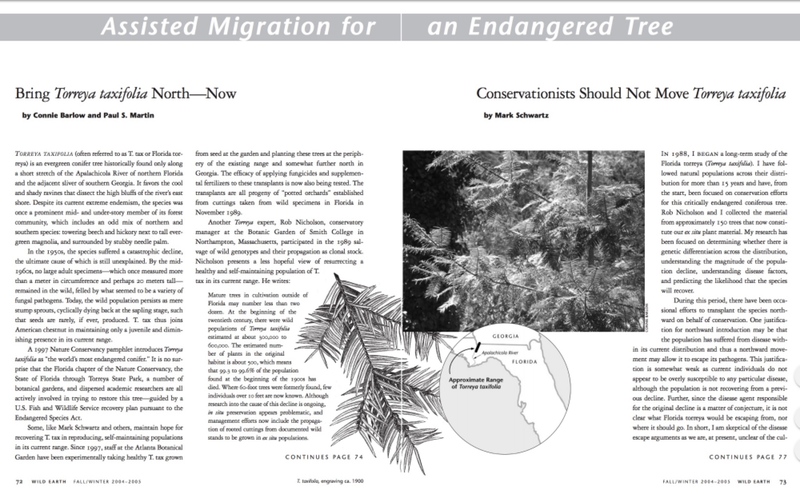 The issue of assisted migration (managed relocation) as a potential conservation action to assist this endangered species first appeared in the Winter 2004/5 Forum of Wild Earth in which Schwartz wrote the anti-assisted-migration opinion piece in contrast to the pro-assisted-migration piece by Connie Barlow and Paul S. Martin. His leadership on this issue continued, culminating in first authorship of the 30-coauthor paper linked and annotated above. Any decision to implement genetic engineering on Florida Torreya and/or decide yet again to refrain from initiating "assisted migration" pilot projects as part of the recovery plan update process in 2019 will need to set that decision within the context of the actual scholarship and debate on this breakthrough issue in conservation science. Florida Torreya decision-making as part of the official species recovery plan will necessarily play on the world stage. That the Department of Interior's "Invasive Species Advisory Committee" came out with such a strong statement against "managed relocation" in December 2017 (excerpt is immediately above), and that Torreya Guardians was singled out as a negative example, is important to consider from an agency perspective (Fish & Wildlife Service being part of DOI). That is why, in her comments re the 2019 recovery plan update (directly below), Barlow called attention to the new-in-2018 Historic Groves webpage. There, documentation achieved over the years during site visits by Torreya Guardians to northward plantings of now-mature specimens provide solid evidence that Florida Torreya (which has long been suspected of poor dispersal capabilities) has proved non-invasive in the mountains of North Carolina. Currently, it appears that the individuals and institutions officially involved or expressing research interest in recovery of Torreya taxifolia have turned concern away from the long-standing questions of invasiveness and ability-to-thrive in northward locations (especially given the decade+ experience of healthy and seed-productive ex-situ groves in northern Georgia) and have recently expressed concerns about assisted migration primarily from the standpoint of possible pathogen transmittal. (See Part 1 and Part 2 of this webpage.) If that is indeed the case, then developing guidelines for guarding against pathogen transmittal would seem to be the primary action to accompany authorization of translocations of plant materials within and beyond Florida and Georgia as part of pilot project experimentations for discerning whether cooler habitats could diminish the lethal effects of any and all pathogens that have long been attacking Florida torreya in its glacial refugium. Here, too, documentation achieved by Torreya Guardians could be helpful: The plant materials least harmed by fungicides and most thoroughly subject to cleansing are ripe seeds. Please consult our new-in-2018 Free-Planting Seeds webpage for a photo-essay of documented experiments and learnings of our half-dozen years of testing various practices and habitats for placing seeds directly into regrowth forest sites, with the goals of maximizing success and minimizing herbivory, while setting in place long-term field experiments with minimal human labor and essentially no cost. 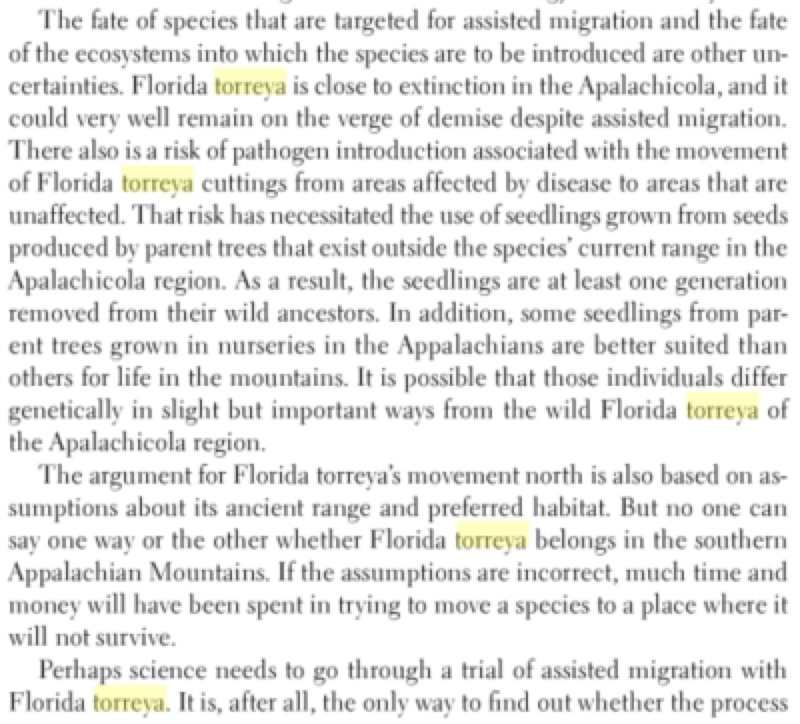 As well, this Brink of Extinction page was revised March 2019 in order to better lay out the argument (with sources linked) in favor of assisted migration of Florida Torreya. Barlow's filing also stated, "Please add me to your e-list for receiving whatever communications you routinely send to your science advisors and area stakeholders. All citizens in the USA are stakeholders for endangered species. We Torreya Guardians have demonstrated our concern and care for this tree." EXCERPT: ... In conclusion, the deep-time perspective that comes naturally to those who work in the realm of geophysiology can now become the lens through which conservation biologists and other biodiversity activists go about their work. Specifically, the deep-time perspective encourages conservationists to revise the parameters we use for judging which species are native to a region. It also encourages us to be mindful of time lags in biological adjustments to shifts in climate, and thus in how we read the past and how we prepare for the future. 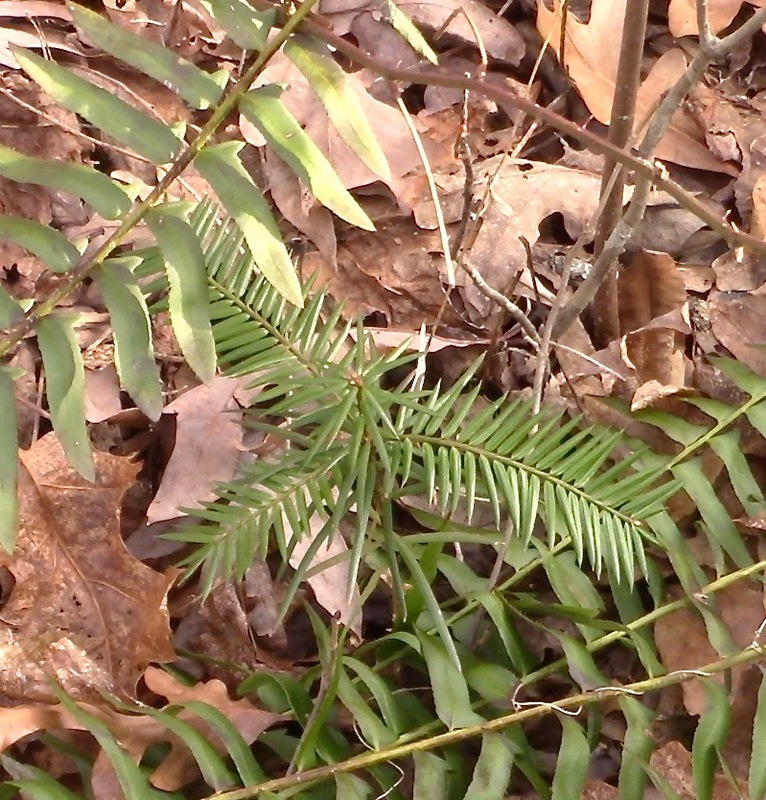 PHOTO ABOVE: This herbivory-free "freeplanted" torreya emerged from seed that had inadvertently been planted by Barlow right next to an evergreen Polystichum fern in NE Alabama. A major learning accrued: Planting seeds (at least 3 inches deep for protection against seed predators) and alongside evergreen ferns provides excellent camouflage for escaping herbivory by deer. 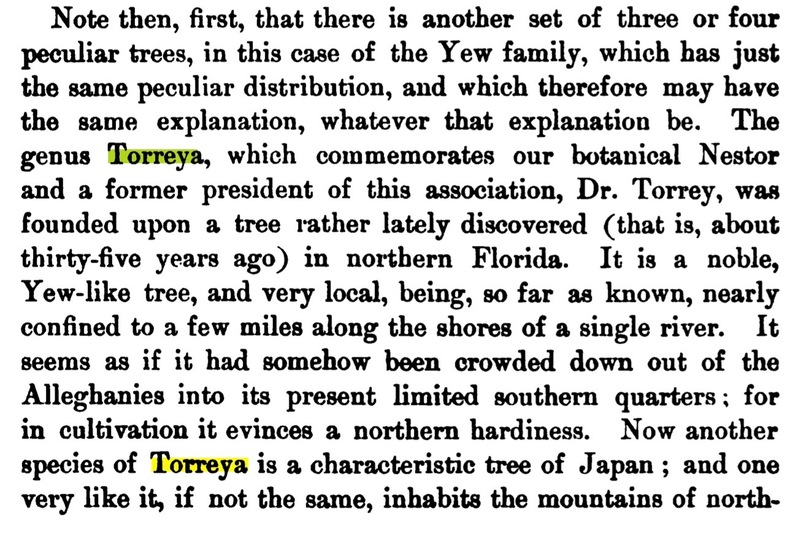 End of "At the Brink of Extinction  Why"
EDITOR'S NOTE: This 1905 publication contains the first suggestion that Torreya's preferred habitat lies northward of its endemic Florida range. Access online the entire report. "It is associated with a remarkable and somewhat extensive group of northern mesophytic plants, and the conclusion is irresistible that Torreya is a northern plant of the most pronounced mesophytic tendencies, and to be associated with such forms as the beech-maple-hemlock forms of our northern woods, our most mesophytic type of association." PHOTO ABOVE: In 2013 AJ Bullard demonstrated on his Torreya taxifolia tree in Mt. Olive North Carolina that this species actually will produce both female cones (top branchlet) and male cones (middle branchlet) on a single individual. Lower left branchlet shows vegetative buds. 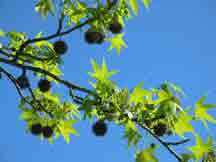 In an email to Lee Barnes on 9/29/16 Frank Callahan wrote of his mature Florida Torreya trees in Medford OR: "Both of these trees exhibit male and female 'flowers', which is unusual for this taxon." 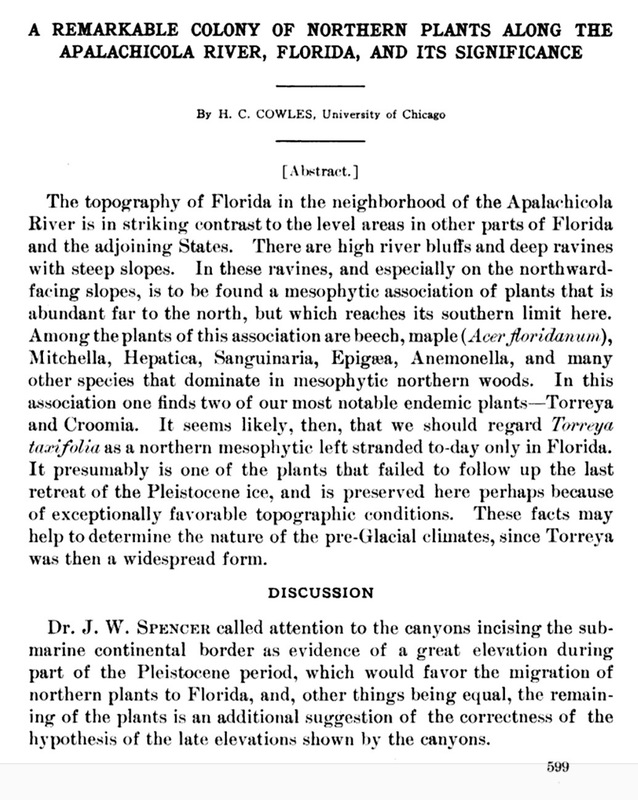 "A Remarkable Colony of Northern Plants Along the Apalachicola River, Florida, and Its Significance"
"In this association one finds two of our most notable endemic plants  Torreya and Croomia. It seems likely, then that we should regard Torreya taxifolia as a northern mesophytic left stranded to-day only in Florida. "It presumably is one of the plants that failed to follow up the last retreat of the Pleistocene ice, and is preserved here perhaps because of exceptionally favorable topographic conditions." 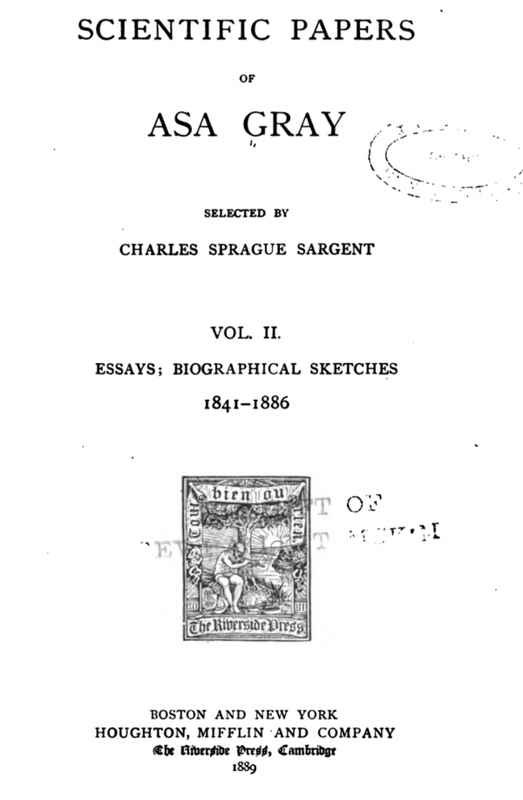 Scientific Papers of Asa Gray, Vol II, 1841-1886", selected by Charles Sprague Sargent, 1889. ... In the tertiary period, the geological botanists assure us, our own very Taxodium or Bald Cypress, and a Glyptostrobus, exceedingly like the present Chinese tree, and more than one Sequoia, coexisted in a fourth quarter of the globe, namely, in Europe! This brings up the question: Is it possible to bridge over these four wide intervals of space and the much vaster interval of time, so as to bring these extraordinarily separated relatives into connection? The evidence which may be brought to bear upon this question is various and widely scattered. I bespeak your patience while I endeavor to bring together, in an abstract, the most important points of it. Some interesting facts may come out by comparing generally the botany of the three remote regions, each of which is the sole home of one of these genera, i.e., Sequoia in California, Taxodium in the Atlantic United States, and Glyptostrobus in China, which compose the whole of the peculiar tribe under consideration. "...My speculation was based upon the former glaciation of the northern temperate zone, and the inference of a warmer period preceding and perhaps following. I considered that our own present vegetation, or its proximate ancestry, must have occupied the arctic and subarctic regions in Pliocene times, and that it had been gradually pushed southward as the temperature lowered and the glaciation advanced, even beyond its present habitations; that plants of the same stock and kindred, probably ranging round the arctic zone as the present arctic species do, made their forced migration southward upon widely different longitudes, and receded more or less as the climate grew warmer ... so that different species of the same genus, as in Torreya, or different genera of the same group, as Redwood, Taxodium, and Glyptostrobus, or different associations of forest trees, might establish themselves each in the region best suited to their particular requirements, while they would fail to do so in any other. These views implied that the sources of our actual vegetation and the explanation of these peculiarities were to be sought in, and presupposed, an ancestry in pliocene or still earlier times, occupying the higher northern regions. 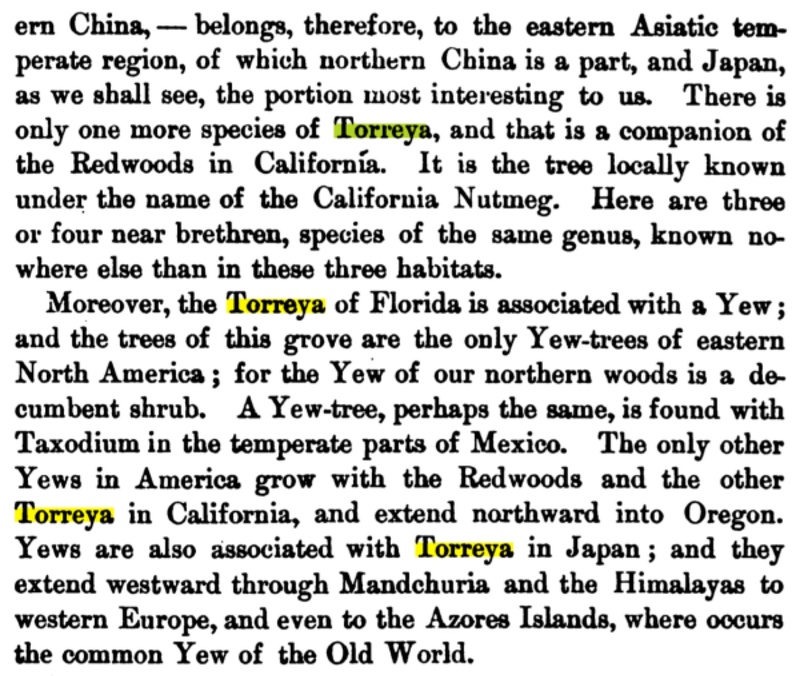 "The genealogy of the Torreyas is still wholly obscure; yet it is not unlikely that the Yew-like trees, named Taxites, which flourished with the Sequoias in the tertiary arctic forests, are the remote ancestors of the three species of Torreya, no severally in Florida, in California, and in Japan..."
"... I must refrain from enumeration of the angiospermous or ordinary deciduous trees and shrubs, which are now known, by their fossil remains, to have flourished throughout the polar regions when Greenland better deserved its name and enjoyed the present climate of New England and New Jersey. Then Greenland and the rest of the north abounded with Oaks, representing the several groups of species which now inhabit both our eastern and western forest districts; several Poplars, one very like our Balsam Poplar, or Balm of Gilead-tree; more Beeches than there are now, Hornbeam, and a Hop-Hornbeam, some Birches, a Persimmon, and a Planer-tree, near representatives of those of the Old World, at least of Asia, as well as of Atlantic North America, but all wanting in California; one Juglans like the Walnut of the Old World, and another like our Black Walnut; two or three Grapevines, one near our southern Fox Grape or Muscadine, another near our northern Frost Grape; a Tilia, very like our Basswood of the Atlantic States only; a Liquidambar; a Magnolia, which recalls our Magnolia grandiflora; a Liriodendron, sole representative of our Tulip-tree; and a Sassafras, very like the living tree...."
"... I, for one, cannot doubt that the present existing species are the lineal successors of those that garnished the earth in the old time before them, and that they were as well adapted to their surroundings then, as those which flourish and bloom around us are to their conditions now. Order and adaptation did not wait for man's coming, nor were they ever stereotyped. Organic nature,  by which I mean the system and totality of living things, and their adaptation to each other and to the world,  with all its apparent and indeed real stability, should be likened, not to the ocean, which varies only by tidal oscillations from a fixed level to which it is always returning, but rather to a river, so vast that we can neither discern its shores nor reach its sources, whose onward flow is not less actual because too slow to be observed by the ephemera which hover over its surface, or are borne upon its bosom." 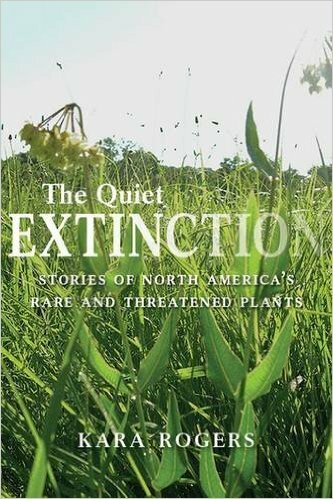 Excerpts from a detailed chapter on Florida Torreya (2015, by Kara Rogers, University of Arizona Press) are accessible at the google books site, page 101, for The Quiet Extinction: Stories of North America's Rare and Threatened Plants. "In 1955, officials at Torreya State Park, in the heart of Florida torreya habitat, reported a steep decline in the tree's populations. . . Seemingly overnight the situation had turned dire. Adult populations had been decimated, and there was no indication that the species was reproducing. Florida torreya, Kurz and Godfrey warned , was on the brink of extinction. . . . The disease seemed to be worse for trees that received full sunlight than for those in more shaded areas. But the result was still the same. . . The only individuals that were spared the disease were seedlings younger than six months. They presumably were started from seeds left behind by dead adults. By the 1990s, however, virtually all adult trees in the wild had been killed, and between 1,000 and 1,350 juveniles remained. Many young trees displayed symptoms of the disease, and over time their stems were killed off, one by one. The likelihood of their survival being prolonged depended in part on the size of their main stem. A larger main stem meant a more promising outlook, at least for a while. But once the main stem died or when a tree was down to three or fewer stems, each a foot and a half tall or less, death ensued. "By 2010, among wild populations of Florida torreya, only six plants were able to produce cones." Note: Several pages of detailed disease descriptions and experiments then follow. "Possibly also affecting the survival of Florida torreya is damage to protective communities of mycorrhizal fungi that associate with Florida torreya. Nearly all of its mycorrhizal associates belong to the genus Glomus, which contains a number of species that help defend trees against root pathogens. The abundance of those fungi, however, appears to be greater among garden explants than among trees in native habitats. Wild Florida torreya currently inhabit heavily shaded areas, which, combined with the presence of disease, may limit the trees' ability to support beneficial mycorrhizal fungi. Visit the webpage that includes info, photos, and video of this oldest tree. The estimated 98% decline in mature individuals within the last three generations means that Torreya taxifolia meets the criteria for Critically Endangered under Criterion A2. The actual causes of the decline (the death of individuals and the reproductive failure associated with infection from a range of pathogens) is not well understood: recent surveys indicate it is continuing. The decline may be reversible in the future if those causes can be identified and controlled. Restricted to a few ravines along the east side of the Appalachicola River in northern Florida and southern Georgia. Its total extent of occurrence is estimated to be about 200 km2 with an area of occupancy under 50 km2. The current population is estimated to be between 500 and 600 trees. Of these, less than 10 are known to produce male or female cones (this species is dioecious). 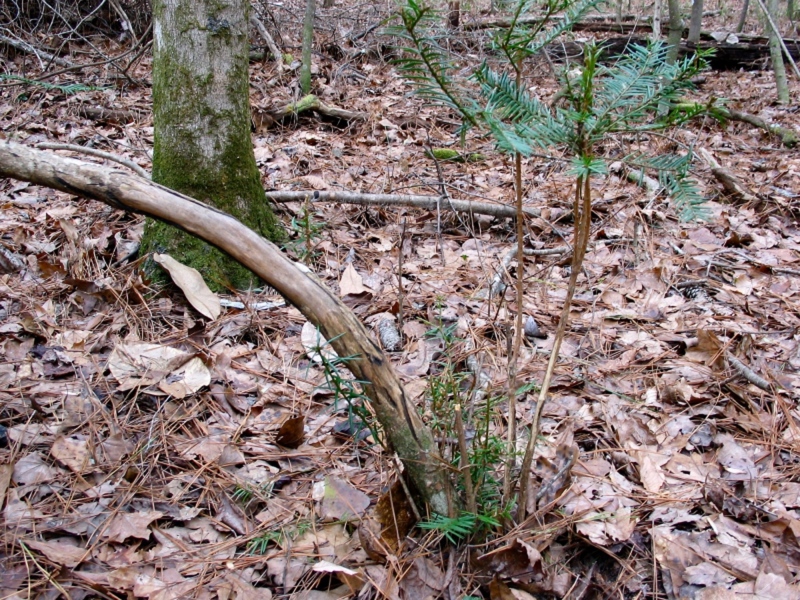 Individuals persist as stump sprouts. Before the start of the decline in the early 1950s, the population was estimated to have been more than 600,000. Since then there has been a decline of more than 98%. Torreya taxifolia occurs along limestone bluffs on the Appalachicola River in a region with a warm and humid climate, occasionally influenced in winter by cold waves from the north that dip temperatures below the freezing point. It grows mostly in the shade of wooded ravines and steep, N-facing slopes under canopy of Fagus grandifolia, Liriodendron tulipifera, Acer barbatum, Liquidambar styraciflua, Quercus alba, and occasionally pines (Pinus taeda, P. glabra). Often these woods are hung with vines (e.g. Smilax spp., Bignonia capreolata). Another rare conifer, Taxus floridana, occasionally grows with Torreya taxifolia. The most significant current threat to T. taxifolia is the continued reproductive failure associated with fungal pathogens. Individuals do not reach reproductive size before being top-killed. Recent research has identified a previously unknown species of Fusarium that may be the cause (J.A. Smith pers. comm. September 2010). Rubbing by deer is an additional problem as it causes physical damage and may also be a vector for disease transmission. Changes in landuse and fire regimes in surrounding areas along with changes in hydrology and soil chemistry linked to the construction of dams may also be implicated in its historical decline. Augmentation plantings within the natural range have proved to be susceptible to infection: no naturally resistant clones have been identified to date. Population viability analyses indicate that extinction within its native range is inevitable. Below: Sample graphic from the IUCN Red List page for Florida Torreya. "Prior to glaciation and the accompanying colder climate, Torreya was circumpolar at high latitudes." Notice the species richness centered over the Apalachicola region of northern Florida. 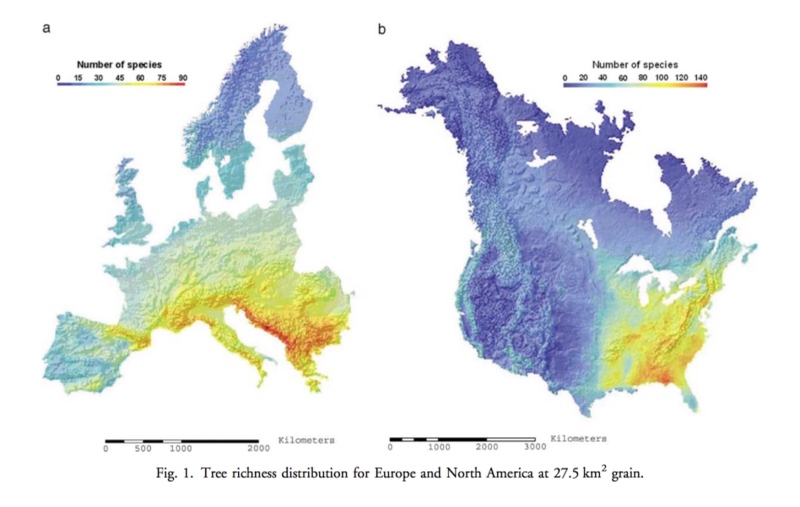 Illustration from "Contemporary richness of holarctic trees and the historical pattern of glacial retreat," by Daniel Montoya et al., 2007, Ecography 30:173-182. Background note: To put the recent canker papers in context, peruse pages 5, 6, and 14 of the 2010 Recovery Plan Update. There you will find a brief history of research and findings on the multi-decadal quest to pinpoint the pathogen/cause of the sudden die-back of mature stems more than 50 years ago and the ongoing problems today. EXCERPTS: Considered a common tree in its restricted habitat until just before WWII, by 1962 Florida torreya had declined so severely that the species was considered to be destined for extinction (Godfrey and Kurz, 1962). The decline of Florida torreya was first observed around 1938 (Alfieri et al., 1967). By the 1960s, no adult individuals could be found and the outlook for the species seemed very bleak (Alfieri et al., 1967). The rapid decline of the species was then attributed to an unknown fungal disease because of the abundance of leaf spots and stem cankers and the rapid nature of the decline (Godfrey and Kurz, 1962). Since then, Florida torreya has continued to decline and in addition to disease, has been subjected to changes in hydrology, forest structure, heavy browsing by deer and a loss of reproductive capability (Schwartz and Hermann, 1995). Despite these challenges, Florida torreya stems which have been killed by disease often re-sprout from the stump in a manner reminiscent of American chestnut following chestnut blight, although seed reproduction has been non-existent for decades in the wild (Schwartz and Hermann, 1999). Estimates show Florida torreya has declined 99% since pre-settlement population levels, from an estimated population of 357,500 individuals in 1914 to approximately 1,350 in the 1990s (Schwartz et al., 2000). It is believed that the population has declined further since 2000 to current estimates of 400–600 individuals (T. Spector, unpublished data, 2010). Despite several attempts to conclusively determine the causal agent responsible, disease etiology has not been previously elucidated (Alfieri et al., 1967; Alfieri et al., 1987; El-Gholl, 1985; Lee et al., 1995; and Schwartz et al., 1996). In the first pathology studies conducted on T. taxifolia (Alfieri et al., 1967), it was noted that disease symptoms of leaf spots, needle necrosis, defoliation and stem lesions were common on native and cultivated T. taxifolia. Several pathogens were isolated commonly from symptomatic needles (Macrophoma sp., Rhizoctonia solani, Sphaeropsis sp. and Sclerotium rolfsii), however, no pathogens were isolated from cankered stems and Koch's postulates (proof of pathogenicity) were not demonstrated. About 20 years later, El-Gholl (1985) implicated Fusarium lateritium as a causal agent by demonstrating this species' capacity to cause leaf spots, however, the causal agent of the canker disease remained unknown. Alfieri et al. (1987) completed more pathogenicity studies with a Phyllosticta sp., Xylocoremium flabelliforme and F. lateritium. They also completed Koch's postulates with F. lateritium as a leaf spot pathogen, but the canker-causing organism remained elusive. In 1991, Schwartz et al. implicated Pestalotiopsis microspora as the causal agent of the canker disease, having isolated the pathogen from 56 symptomatic plants and completed Koch's postulates on 10 stems. However, no information was given on the canker development, morphology or ability to cause mortality. Typically Pestalotiopsis spp. are considered opportunistic pathogens (Sinclair, 2005). Lee et al. (1995) investigated the endophytic and pathogenic chemical attributes of P. microspora infection and artificial inoculations resulted in stem canker development, however, again no stem mortality was observed. Subsequent studies by Hermann and Schwartz (1997) implicated a Scytalidium sp. due to frequent isolation from cultivated and naturally occurring Florida torreya. Inoculation attempts led to small lesions on needles, but cankers were not observed. In addition to biotic causes of decline, researchers have looked into changes in soils, drought, global warming, sunlight exposure and fire regime as possible causes of decline (Schwartz et al., 1995). Some of these environmental changes are thought to have occurred because of the building of the Woodruff Dam along the Apalachicola River in 1957 (Schwartz et al., 1995), and changing land uses in the surrounding areas. However, none of these environmental hypotheses have been demonstrated as a cause of the decline. The rapid nature of the decline during the period of 1938 to 1945 and numerous observations of disease symptoms provides ample evidence that a pathogen, possibly non-native, was involved (Schwartz et al., 1995). [Final paragraph]: Florida torreya faces numerous challenges to its future survival in its natural habitat. In addition to the canker disease, deer routinely cause damage to stems from antler rubbing. It is unclear whether they are attracted by the tree's aroma or seek out Florida torreya for some other unknown reason. Whether the wounds caused by deer serve as infection courts for pathogens, including the new Fusarium sp. (Fsp-1), is unclear and warrants further study. Additionally, since lesions on the larger plants in IE3 resulted in less stem girdling and no mortality, the host response to infection, particularly under different stress conditions, needs to be investigated. In addition to more research on the biology and management of CDFT, more work is needed to assess the various factors involved in decline of Florida torreya and how the species can be protected from extinction. • "Host Range and Biology of Fusarium torreyae, Causal Agent of Canker Disease of Florida Torreya, by Aaron J. Trulock, 2012, 55 pp., (master of science thesis, University of Florida). Note by Torreya Guardians founder Connie Barlow - Although this paper is not peer-reviewed, p. 18 and the final two paragraphs (pp. 46-47) have been used as a reputable source for implicating northward plantings of Florida torreya by Torreya Guardians as dangerous for possibly spreading Fusarium torreyae to two Appalachian native trees: Fraser Fir and Eastern Hemlock. Because this warning is severe, it would be useful for the experiments leading to this conclusion to be published in full in a peer-reviewed journal. The experiment apparently discovered that the Fusarium "grows well and sporulates in the average summer and fall temperatures" of the southern Appalachians, but there is no mention as to whether population dieback occurs in the kinds of severe winter conditions that periodically occur in mountain locations, and there is no mention of actual testing of the Fusarium on the two tree species concluded as vulnerable. Importantly, this paper was the first published mention that any danger might be associated with translocating Torreya plant materials geographically. A "novel Fusarium" (later named Fusarium torreyae) was first published as the definitive lethal disease the prior year (see the above, 2011, publication). Prior to Torreya Guardians' first reception of seeds from the Biltmore Gardens ca 2005, movement had been routinely conducted by agents associated with the official USF&WS recovery plan, beginning in 1989. No volunteer planter associated with Torreya Guardians has ever taken any material from the native site (Torreya State Park and surrounds) where the canker is rampant; in contrast, Atlanta Botanical Garden agents for many years have shuttled plant materials, tools, and boots directly between the diseased range and facilities in central Georgia. It is unfair to isolate Torreya Guardians as having potentially moved the then-unknown Fusarium, without acknowledging as well the many years in which researchers, experimenters, and even attendees at the 2018 Torreya Symposium in Torreya State Park might have unknowingly served as more direct vectors for northward movement of the Fusarium. EXCERPTS (in which the Fusarium is named and distinguished from closest Fusarium relatives): During a survey for pathogens of Florida torreya (Torreya taxifolia) in 2009, a novel Fusarium species was isolated from cankers affecting this critically endangered conifer whose current range is restricted to northern Florida and southwestern Georgia. Published multilocus molecular phylogenetic analyses indicated that this pathogen represented a genealogically exclusive, phylogenetically distinct species representing one of the earliest divergences within the Gibberella clade of Fusarium. Furthermore, completion of Koch's postulates established that this novel species was the causal agent of Florida torreya canker disease. Here we formally describe this pathogen as a new species, Fusarium torreyae. Note by Torreya Guardians founder Connie Barlow: This publication mentions a half-dozen Fusarium or other canker-causing pathogens that are all, with the exception of the Florida Torreya tree, hosted on plants that are of food value: a spice in China, cultivated grapefruit, wheat, a soybean cultivar in Argentina and Brazil, coffee bushes in Africa, and the pigeon pea that is cultivated in Africa and Asia. This indicates that the majority of documented pathogenic species of genus Fusarium attack plants of commercial value. Might one wonder: How many Fusarium species exist in southeastern North America and sometimes cause cankers on trees and other native plants, but are undiscovered because no researcher has been funded to isolate them? As well, might Fusarium torreyae be found elsewhere in the southeastern USA, but has not been documented because of low virulence in regions where native plants are less stressed by a deteriorating climate? Note: In the "comments" column of the USF&WS matrix of Record of Actions - Florida Torreya, a mention of Fusarium canker in the California Torrey appears: "The recovery plan suggests grafting [asexual propagation where the tissues (vascular cambium) of one plant are fused with those of another] with T. californica. However, T. californica is exhibiting some issues with cankers caused by pathogens with a different Fusarium species which is killing the cambium. EXCERPTS: Canker disease of prickly ash (Zanthoxylum bungeanum) has caused a decline in the production of this economically important spice in northern China in the past 25 y. To identify the etiological agent, 38 fungal isolates were recovered from symptomatic tissues from trees in five provinces in China. These isolates were identified by conducting BLASTN queries of NCBI GenBank and phylogenetic analyses of DNA sequence data ... Results of these analyses suggested that 30/38 isolates belonged to two novel fusaria most closely related to the Florida torreya (Torreya taxifolia Arn.) pathogen, Fusarium torreyae in Florida and Georgia. These three canker-inducing tree pathogens form a novel clade within Fusarium here designated the F. torreyae species complex (FTOSC). ...Molecular clock estimates place the divergence of the FTOSC in the mid-Eocene , 40 Mya (O’Donnell et al. 2013), but it remains an open question whether this clade first evolved in the Old or New World. Furthermore, it remains to be determined whether F. torreyae is native to North America and restricted to T. taxifolia. Surveys for F. torreyae on Torreya endemic to China are warranted because it is the modern area of diversity of this genus (Li et al. 2001) and because the putative Asian origin of the CDZB pathogens could indicate that the most recent common ancestor of the FTOSC evolved in Asia. 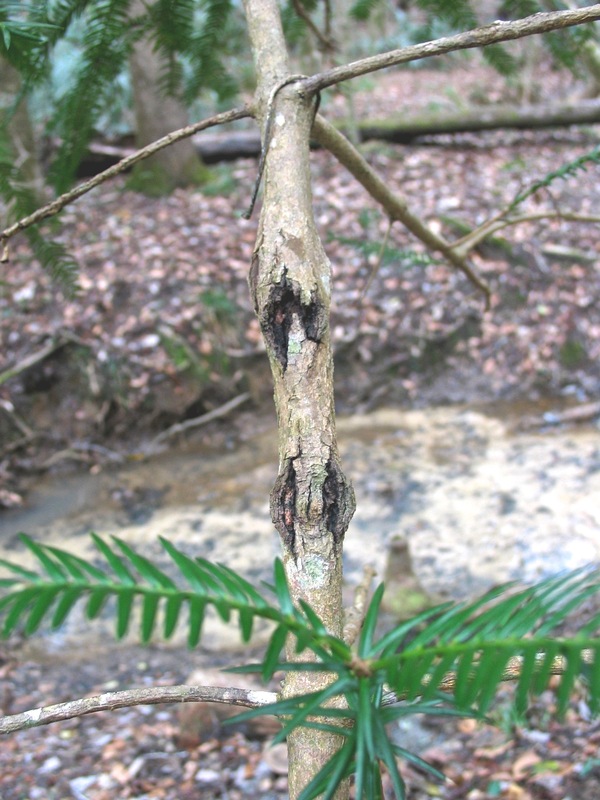 EDITOR'S NOTE: A survey to determine whether a Fusarium is present and causes lethal cankers on Florida Torreya's closest cousin, California Torreya (Torreya californica) is surely "warranted" as well. ... Several species of Fusarium are capable of causing cankers on woody plants, and mixed infections frequently occur. For example, a particular FSSC species occasionally was found co-occurring with F. torreyae in cankers on Florida torreya (Torreya taxifolia) (Smith et al. 2011). Although both species could induce cankers, F. torreyae is considered to be the primary pathogen due to increased virulence and consistent isolation from a large number of cankers. By contrast the available data indicates the FSSC taxon should be regarded as an opportunistic ( J. Smith pers comm). SPECIMEN #1. 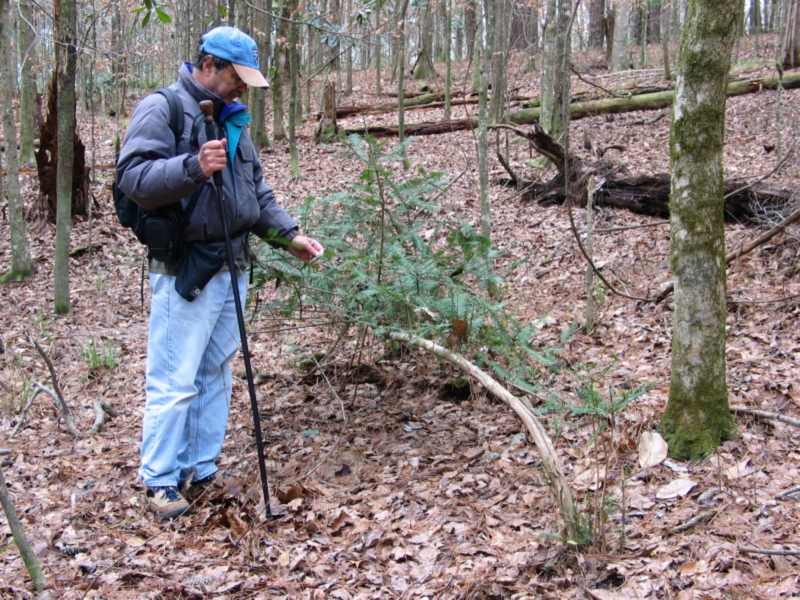 Steve Urse of Tallahassee with a reclining Torreya stem in an upland area near the ravines. Below: Close-up of the lower stem, with healthy basal sprout on one side and a cluster of basals on the other, cropped by herbivory. 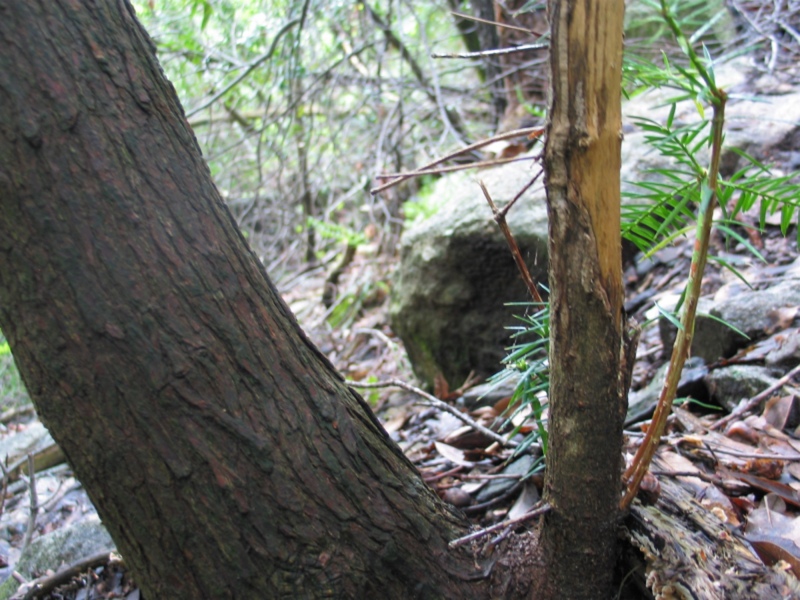 BELOW: Base of Specimen #1 in Florida on the LEFT, compared at RIGHT to an herbivore-damaged young stem in California, next to its healthy mature stem (photo 2005 by Connie Barlow). Multi-stem regrowth Torreya near bridge over creek. Nearby large-stemmed trees include Bald Cypress, American Holly, American Beech, Southern Magnolia. The five remaining photos show close-ups of diseased areas of stems and leaves. Access a webpage for a PHOTO-ESSAY BY GLENN RILKE of his periodic visits to surviving Torreya trees in historically native range in Torreya State Park (panhandle of Florida). In aggregate, the results of this work suggest that the observed low growth rates of T. taxifolia might not be indicative of disease-induced stress. The similarity between T. taxifolia and T. californica growth rates and patterns is consistent with the hypothesis that T. taxifolia is growing normally within its environment. The infrequent expansion of terminal buds may simply be the way that these trees naturally grow in low light environments. Evidence of suppression and release growth pattern in tree rings, along with a preliminary observation that trees in high light environments grow more frequently than those in low light, support the hypothesis that growth in T. taxifolia is light limited. Given the continued lack of an identified primary disease agent, we recommend pursuing further tests of the light limitation hypothesis, and management to increase light levels above extant trees in the wild. Barlow adds: This is a helpful paper. My own natural history observations in 2005 (at a greater number and diversity of sites than the quantitatively driven experimental approach undertaken by Schwartz and Hermann) would add two interpretations: (1) Genus Torreya evolved as a definitive sub-canopy species (as are other members of the yew family); presumably with the assistance of mycorrhizae it is capable of living a very long time in a seemingly stunted state, until a canopy opening enables growth and also seed production on the individual branches that can access sufficient sunlight. (2) With the rare exception of the immense Torreya trees found along Swanton Creek north of Santa Cruz (which is artificial, given that the canopy redwoods were removed in the early 20th century, thus artificially releasing a population of subcanopy Torreyas to grow tall and to seed), Torreya seems to do best on extremely steep slopes, where the usual canopy giants (Coast Redwoods and Douglas-fir) are not found. Access my PHOTO-ESSAYS OF CALIFORNIA TORREYA GROVES or my 2-part NARRATED VIDEO OF TORREYA CALIFORNICA. "Coevolution of Cycads and Dinosaurs" paper by George E. Mustoe, The Cycad newsletter, March 2007. Barlow and Martin 2004 proposed that Torreya taxifolia might have gotten trapped in its peak-glacial pocket reserve (in northern Florida) for lack of its coevolved seed disperser, and thus was unable to geographically respond to the warming interglacial climate. The above paper suggests that another taxon of gymnosperm that thrived (along with genus Torreya) in the Jurassic period might have suffered from an inability to easily track climate change when the seed-dispersing dinosaurs died out. Palynologist Hazel Delcourt, botanist Rob Nicholson, and others have each independently concluded that the Apalachicola habitat in which T. tax is found is one of a small group of "pocket refuges" along the Gulf (and southern Atlantic) coasts in which the vast majority of warm and cool temperate plant species found crucial refuge when the Pleistocene continental glaciers achieved their peak advances during the past 2 million years. Without these refuges, it is likely that North America would have lost not only Torreya taxifolia but also its tuliptrees, sweet gum trees, bald cypress, hemlocks, and a host of shrubs and forbs (such as mayapple). How do we know this? Because Europe lost these species, presumably owing to unfortunate geography: southward migration blocked by the Mediterranean, Black Sea, Carpathian Mountains, etc. Indeed, the species name of Franklinia, Franklinia alatamaha derives from the only place this lovely tree was found  the Altamaha River of southeastern Georgia  before it vanished from the wild. The Altamaha River thus joins the Apalachicola (and the Tunica Hills of Louisiana) as a peak-glacial pocket refuge for plants of eastern North America. ABOVE: Two of the three crucial peak-glacial pocket refuges include the Apalachicola River of the Florida panhandle and the lower reaches of the Altamaha River of southeastern Georgia (both shown in yellow; orange denotes the section of the Apalachicola containing T. tax). Where Should "Native" Range Be During an Interglacial? If the Apalachicola is, in fact, peak-glacial habitat for Torreya taxifolia, then we might conjecture that, for some reason, Torreya taxifolia (as well as the equally endemic, though not equally stressed, Florida yew) was unable to migrate north in tandem with a warming climate during the past 15,000 years. Thus where might its "native" range be at this point in an interglacial? Learn about efforts to SAVE Torreya taxifolia from extinction and how our actions are legal.